The Consul General is participating in the Macau International Environmental Co-operation Forum and Exhibition. 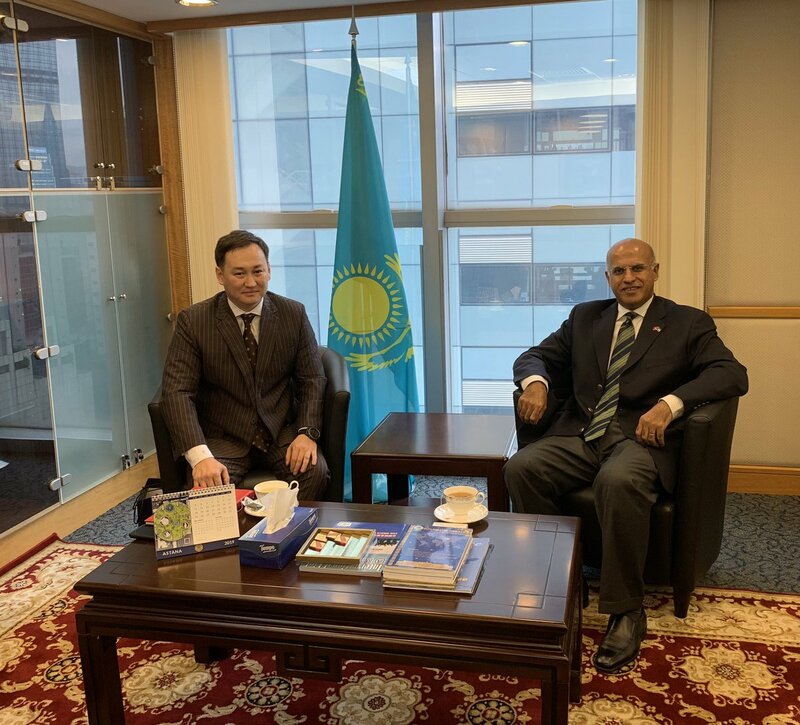 A friendly meeting today between the Consul General and His Excellency the Consul General of Kazakhstan in HongKong. 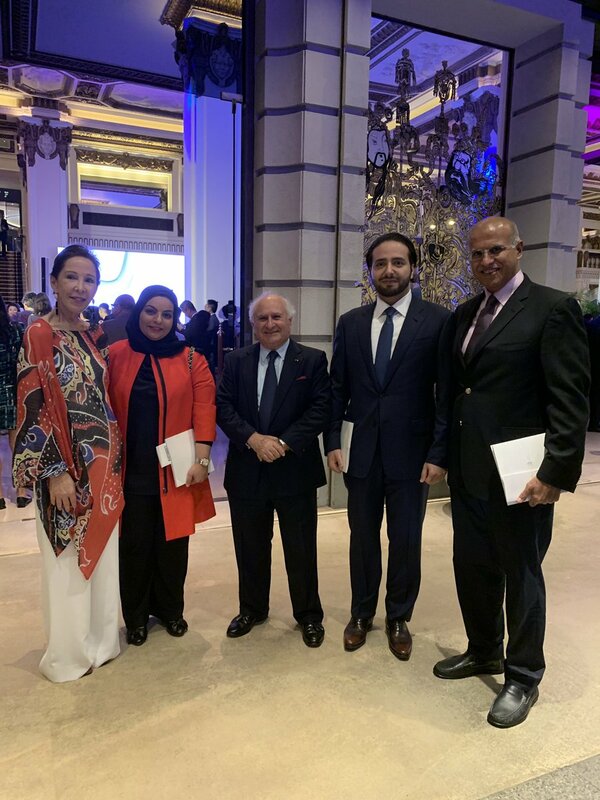 His Excellency sends a warm thank you to Peninsula Hotel and Sir Michael Kadoorie & Mrs. Kadoorie for inviting him and his spouse to a wonderful reception for the launch of the Art in Resonance exhibition. 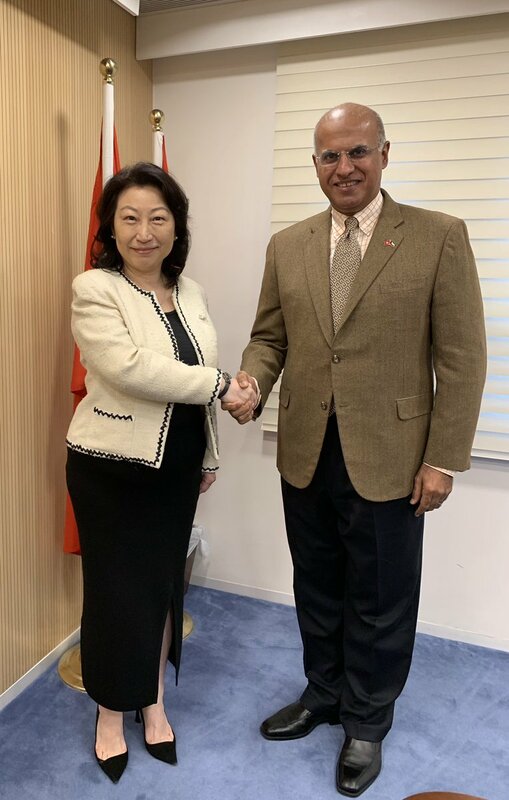 His Excellency the Consul General had the pleasure of visiting His Excellency the Consul General of Korea in HongKong. 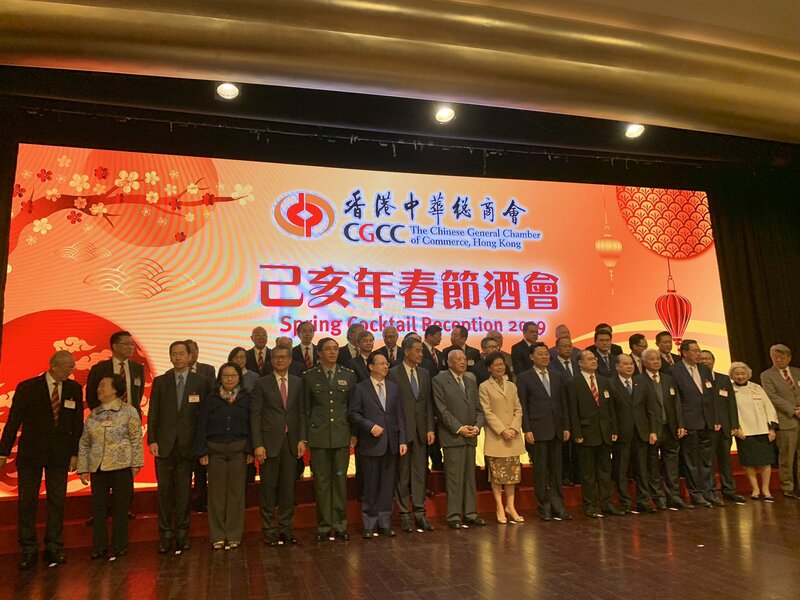 His Excellency participated in the Guangdong Hong Kong Macau Co-operation Forum, Greater Bay Area: A new era of opportunities organised by the Chinese General Chamber of Commerce. His Excellency attended the National Day reception of Ireland in Hong Kong. On the occasion, H.E is wishing the Irish people prosperity and happiness. 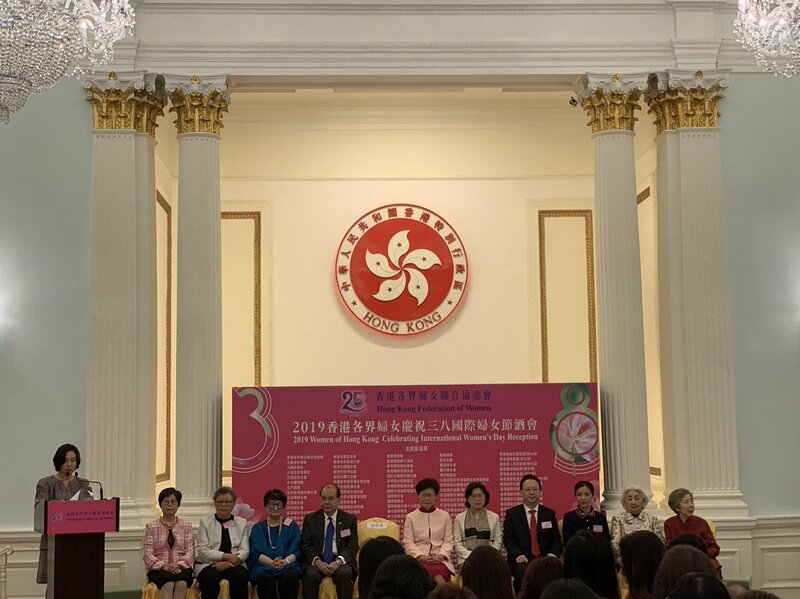 The Consul General and his spouse participated in the 2019 Women of HongKong celebrating International Women’s Day Reception. A Friendly meeting between our Consul General and His Excellency the Consul General of Mongolia in Hong Kong. The Consul General and his spouse hosted a farewell dinner for His Excellency the Consul General of Indonesia and his spouse in Hong Kong prior to his assignment as his country’s Ambassador in Kuwait. 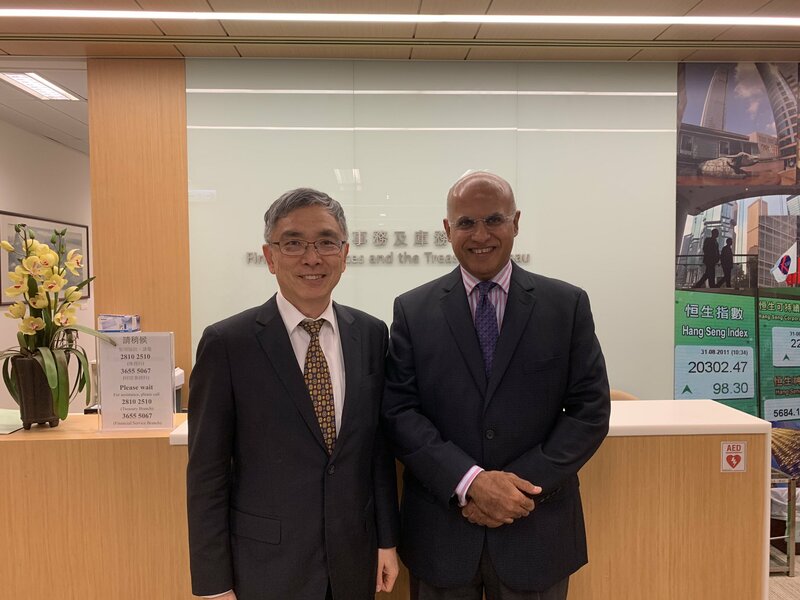 The Consul General had the pleasure of meeting Dr. Aron Harilela, Chairman of the HongKong General Chamber of Commerce. Looking forward to strengthening bilateral ties between the Consulate and the esteemed Chamber. 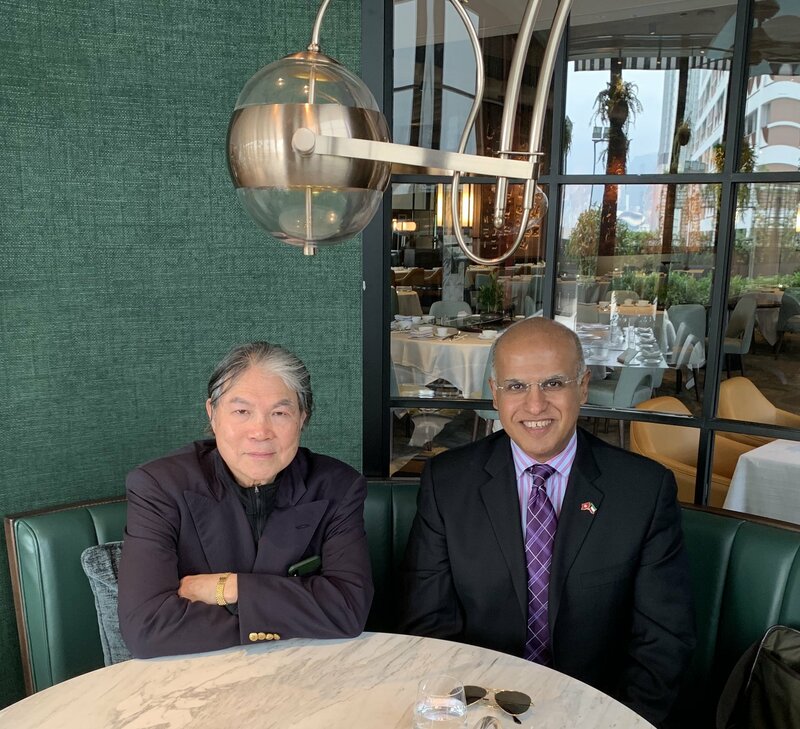 The Consul General was delighted to have met this afternoon with the Honorable/ Timothy Fok, Honorary member of the International Olympic Committee & President of the Sports Federation and Olympic Committee of HongKong & Vice-President of the Olympic Council of Asia. 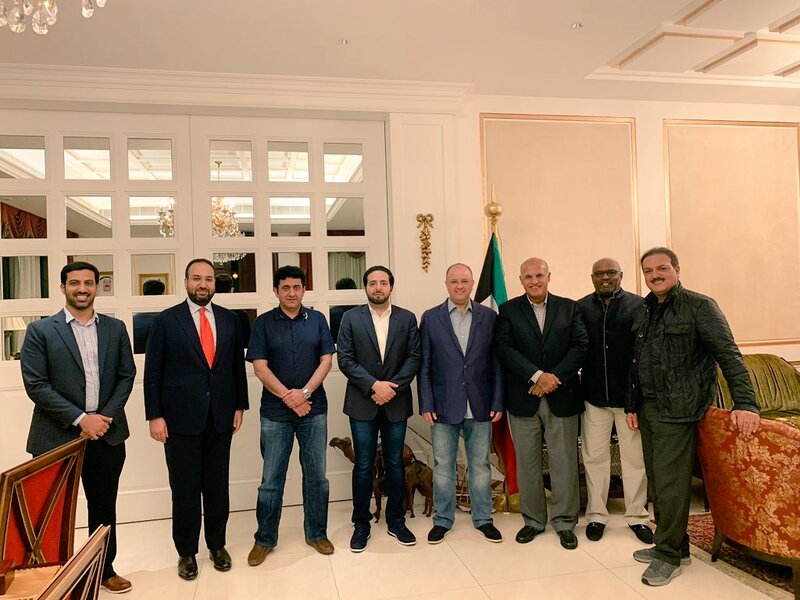 The Consul General and his spouse held a dinner reception in Macau on the occasion of the 58th anniversary of Kuwait independence and the 28th anniversary of its liberation. Thanks Ms. Sónia Chan Hoi Fan Secretary for Administration & Justice for being our Guest of Honor. 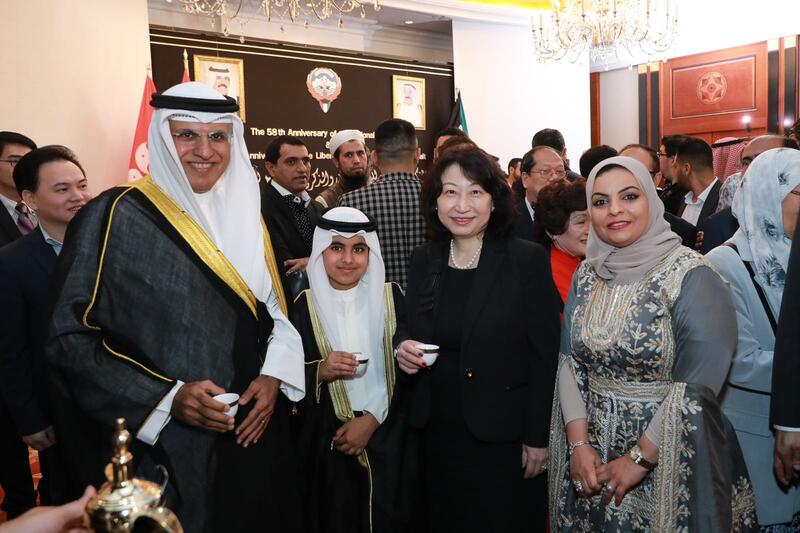 Thank you to Kuwait friends who shared with us a special National & Liberation Day reception on February 26th. A big thank you to the Honourable Ms. Teresa Cheng, Secretary for Justice of Hong Kong for being our Guest of Honour. 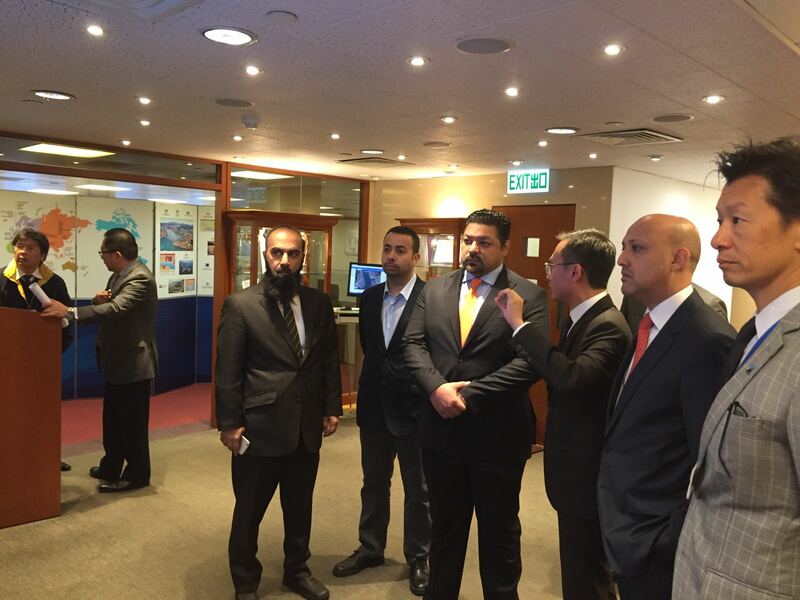 H.E visited the Stanley Mosque in HongKong and met with the Imams and some Police liaison officers. The Mosque is situated within the Stanley prison complex. 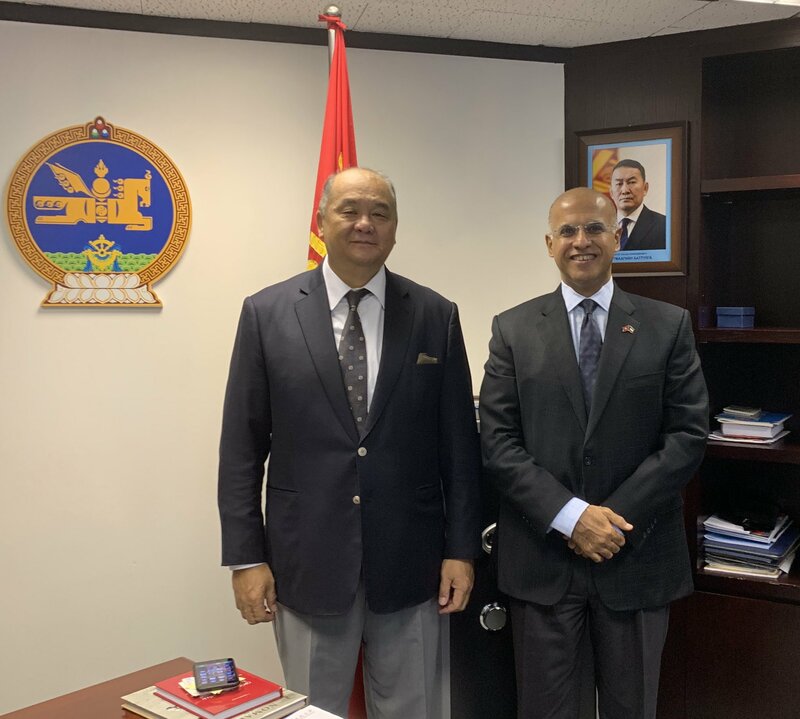 The Consul General has paid a courtesy call visit to His Excellency the Consul General of Thailand in Hong Kong. 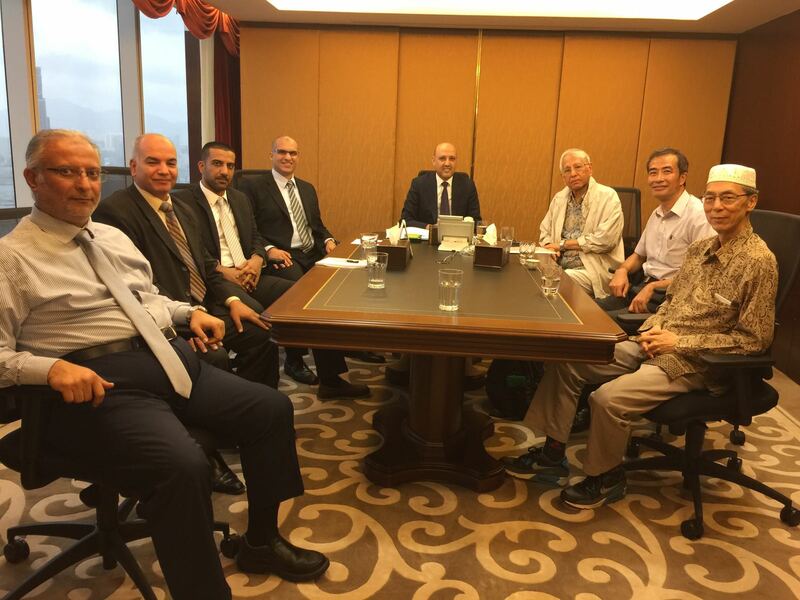 The Consul General welcomed the new Consul General of Egypt in Hong Kong, His Excellency/ Ahmad Ezzat. 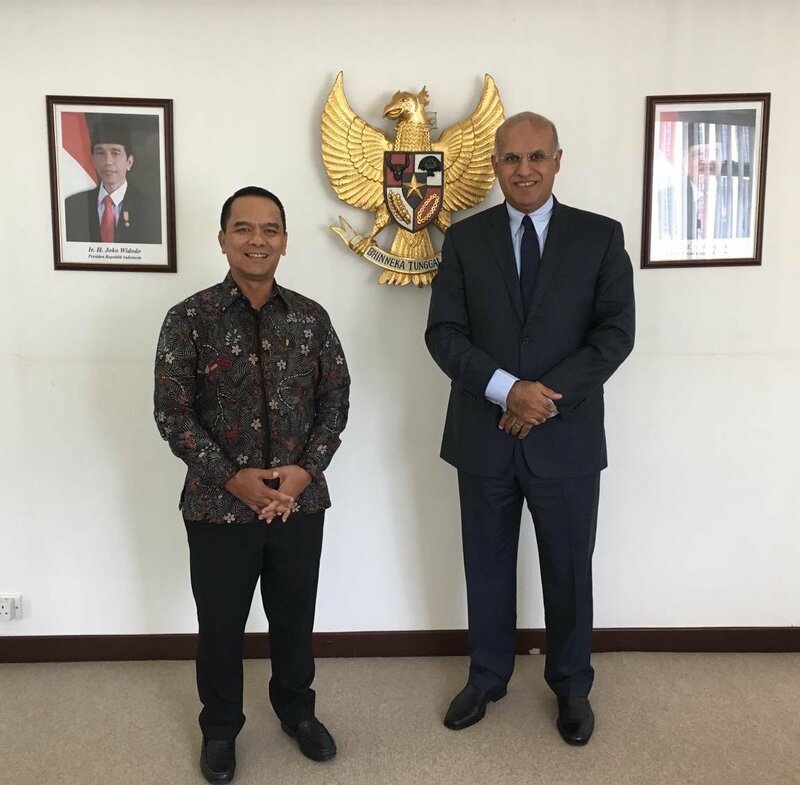 The Consul General received His Excellency the Consul General of Indonesia in Hong Kong & the designated Ambassador to Kuwait. The Consul General is currently attending the Chinese General Chamber of Commerce in Hong Kong spring reception. 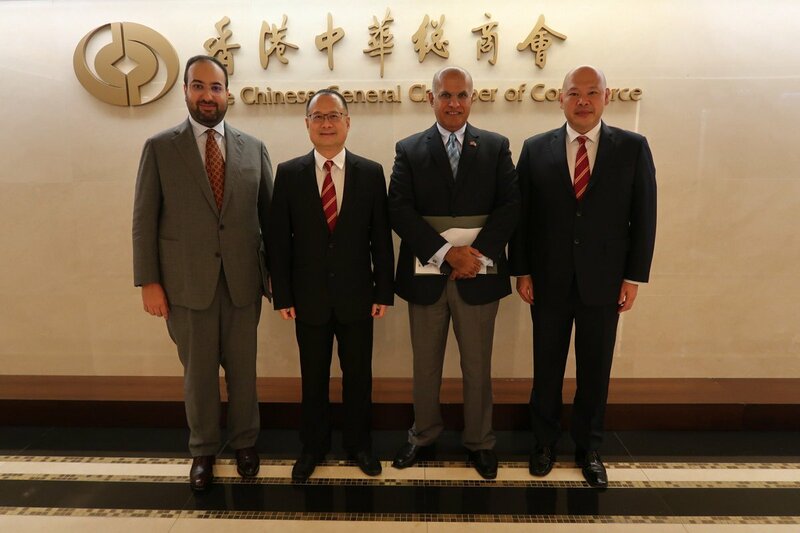 The Consul General has also met at an earlier time the Hong Kong Police Commissioner. The Consul General has met at an earlier time The Honourable Secretary of Justice of Hong Kong. 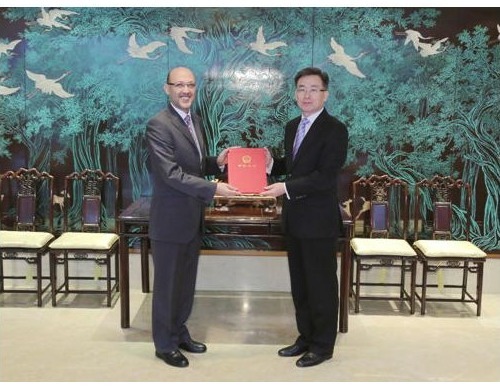 The Consul General met with the Honourable Chief Executive of Macau Special Administrative Region. 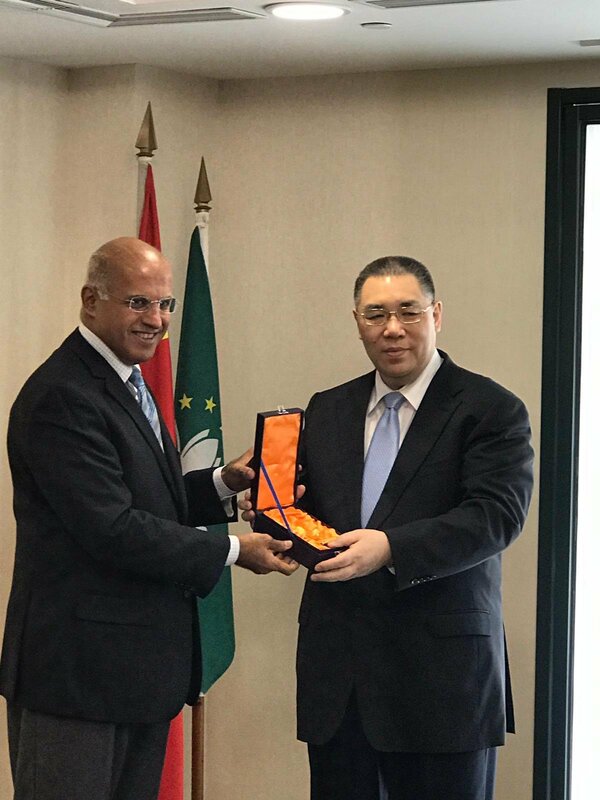 The Consul General has met with the Director of Protocol of the Macau Special Administrative Region Government and exchanged gifts. 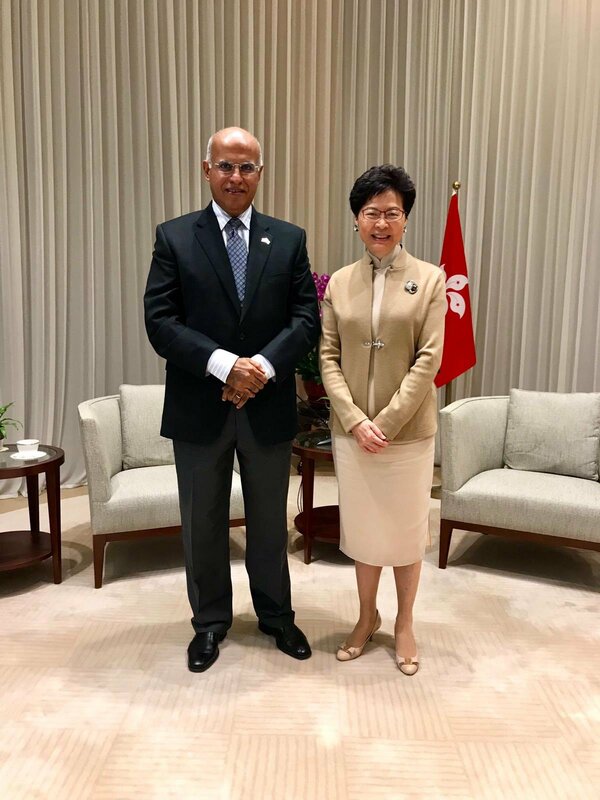 The Consul General had the pleasure to meet the Honorable Chief Executive of Hong Kong Mrs. Carrie Lam. Hong Kong trade development council Deputy Executive Director hosted our Consul General and Consul over a fabulous Chinese lunch. 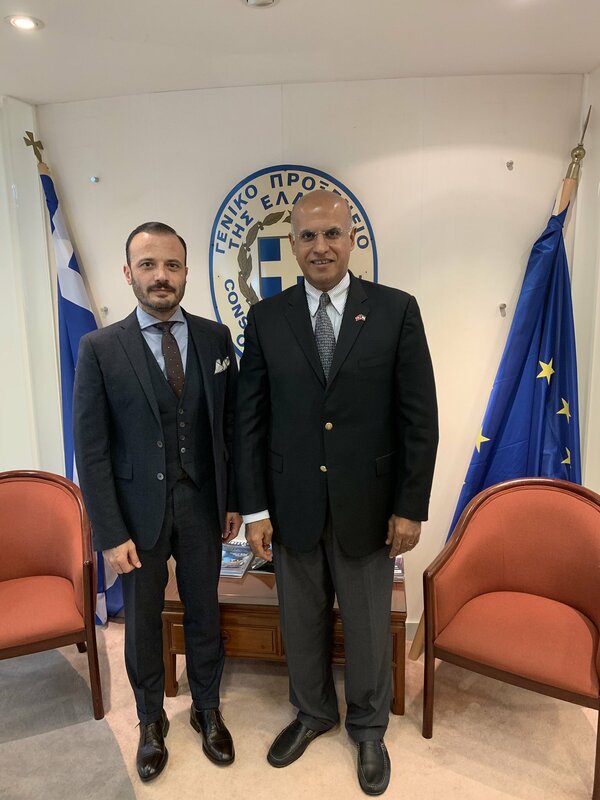 The Consul General paid a courtesy call visit to His Excellency the Consul General of Greece in Hong Kong. 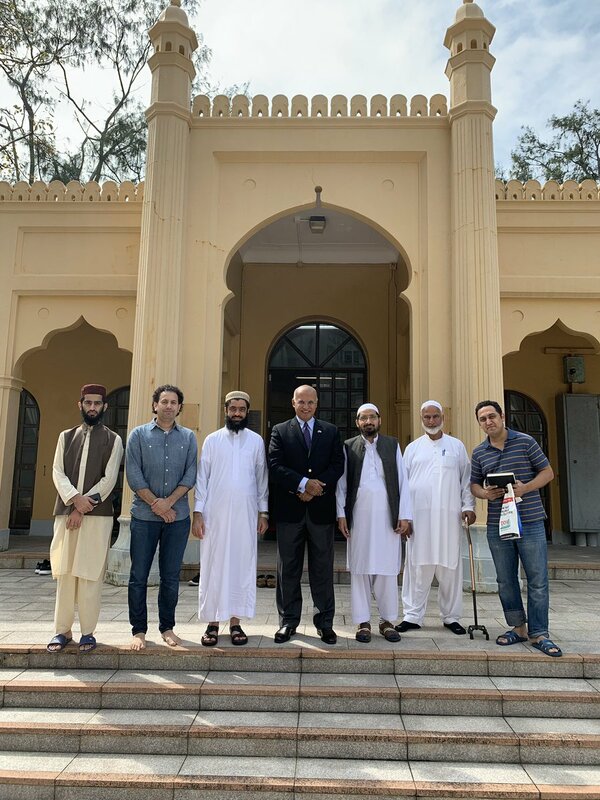 The Consul General received today the Chairman and the Honorary Secretary of The Incorporated Trustees of the Islamic Community Fund of Hong Kong. 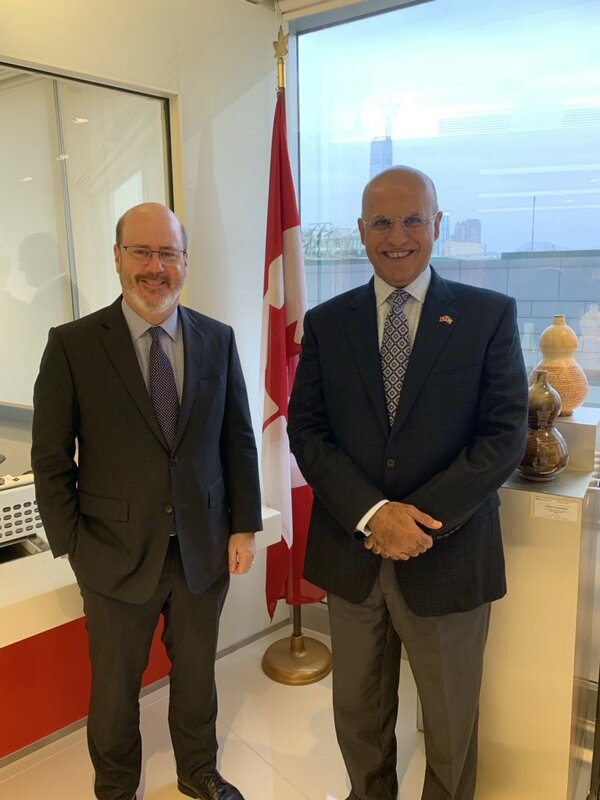 The Consul General has paid a courtesy call visit to His Excellency the Consul General of Canada in Hong Kong. The Consul General has just met Her Excellency the Consul General of Singapore in Hong Kong. 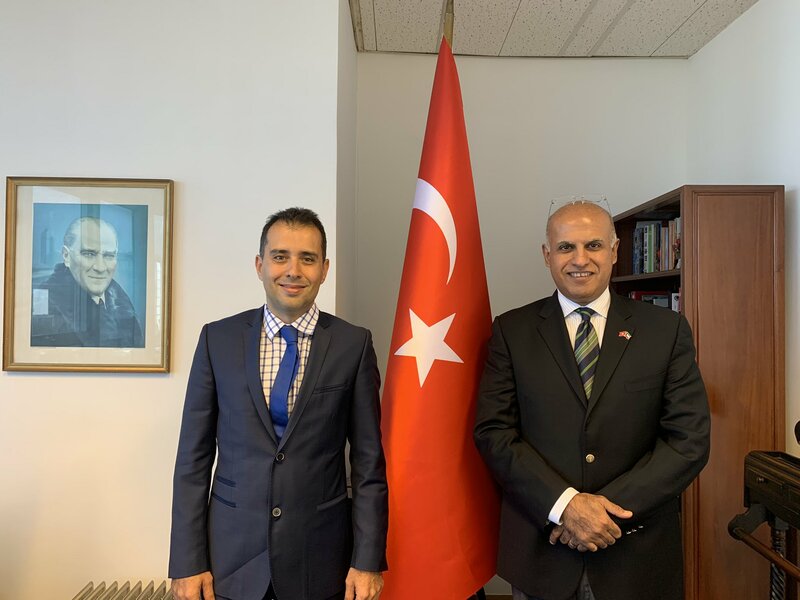 The Consul General just paid a courtesy call visit to His Excellency the Consul General of Turkey in Hong Kong. 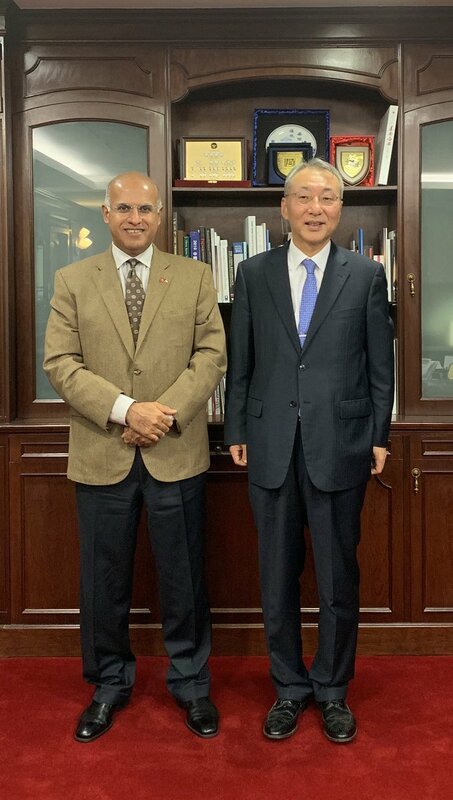 The Consul General met Dr. Jonathan Choi, Chairman of the Chinese General Chamber of Commerce in Hong Kong. 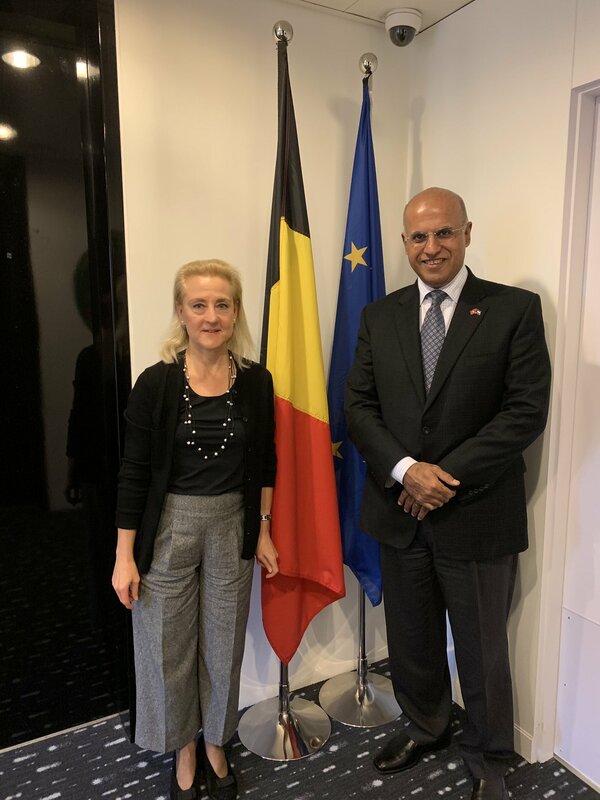 The Consul General just paid a courtesy call visit to Her Excellency the Consul General of Belgium to Hong Kong. 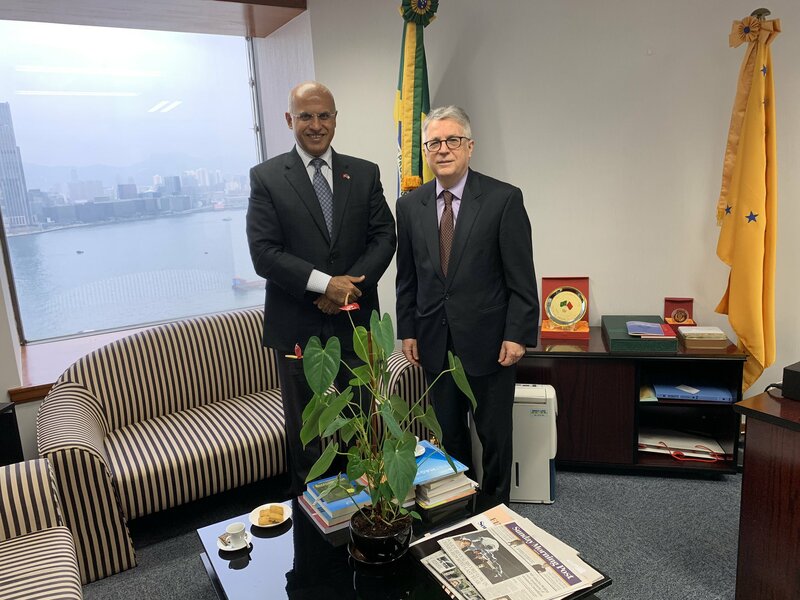 The Consul General just paid a courtesy call visit to His Excellency the Consul General of Brazil to Hong Kong. 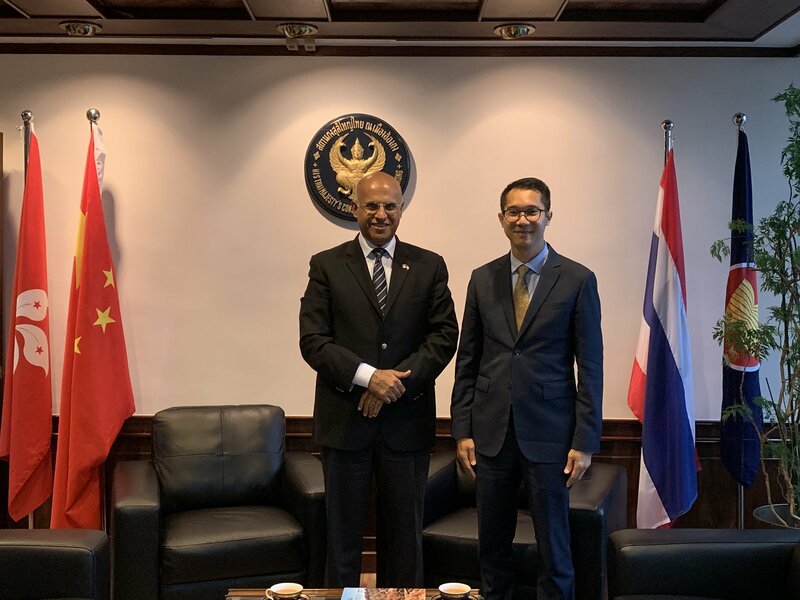 His Excellency Salah Hamdan Al Saif paid a courtesy visit to His Excellency Consul General of Netherlands in Hong Kong. The Consul General met the Honourable/ James Henry Lau, Secretary for Financial Services and the Treasury of Hong Kong. 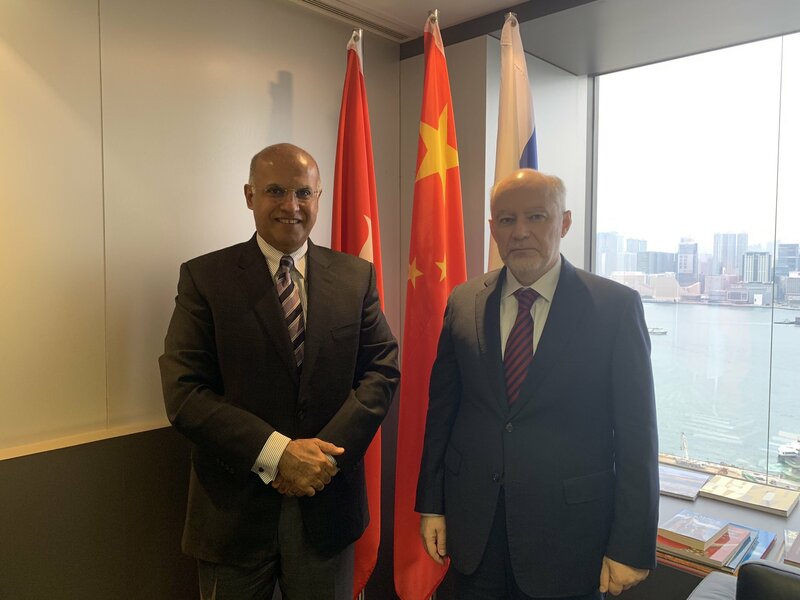 His Excellency Salah Hamdan Al Saif paid a courtesy visit to His Excellency Consul General of Russia in Hong Kong. 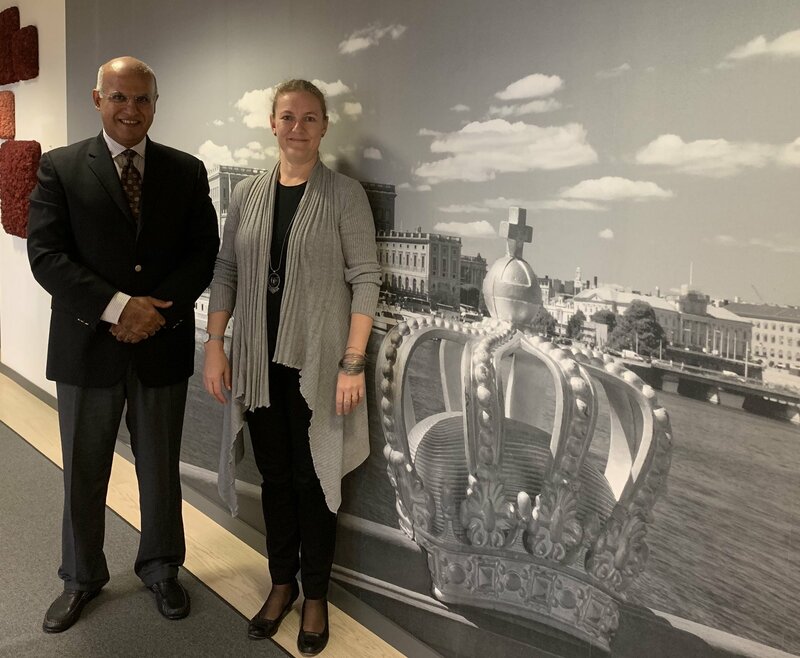 His Excellency Salah Hamdan Al Saif paid a courtesy visit to His Excellency Consul General of Sweden in Hong Kong. 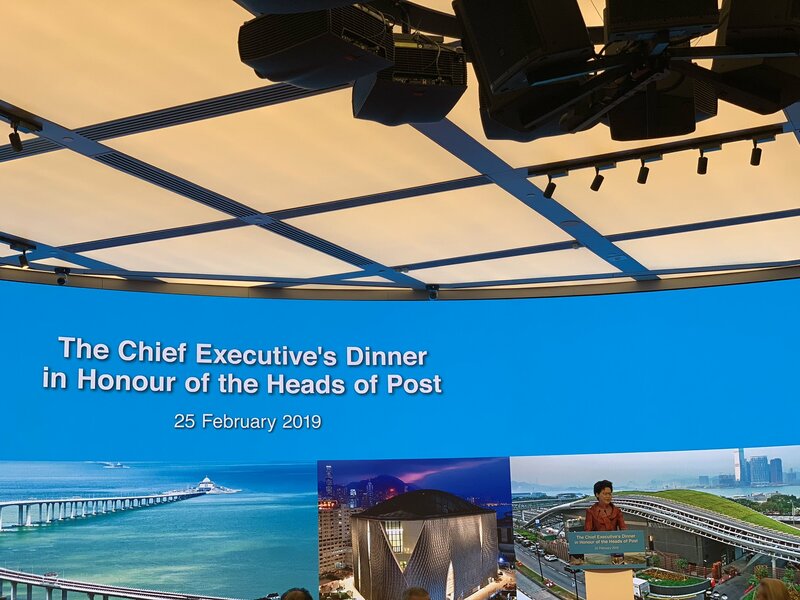 The Consul General hosted a dinner in honor of His Excellency Sheikh Talal M. AlSabah, president of world bowling, attended by the newly appointed Consul General of #Qatar to #Hong Kong & #Macau His Excellency Mohammad Alkuwari. 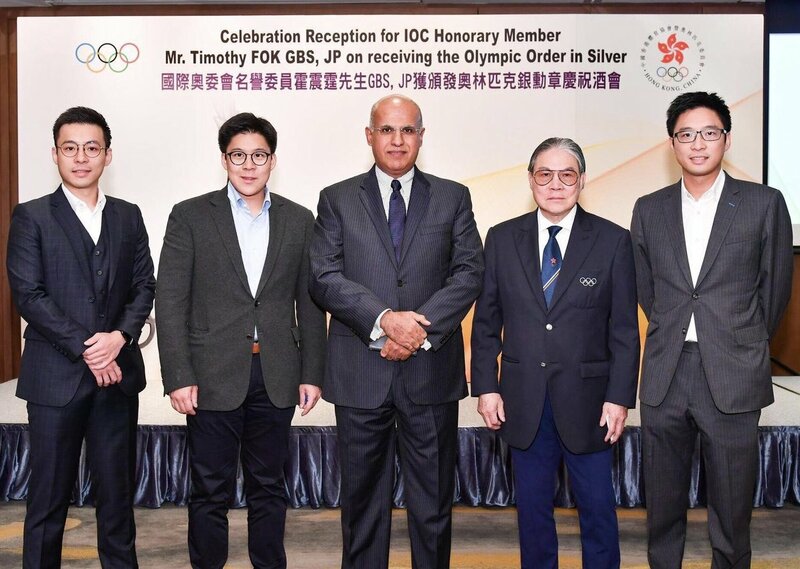 His Excellency the Consul General is participating as a guest of honor in the honoring ceremony organized by the Sports Federation and the Olympic Committee in Hong Kong to honor its Chairman Timothy Fuk and Honorary Member of the International Olympic Committee on the occasion of Mr. Fuk's receipt of the Silver Olympic Medal. 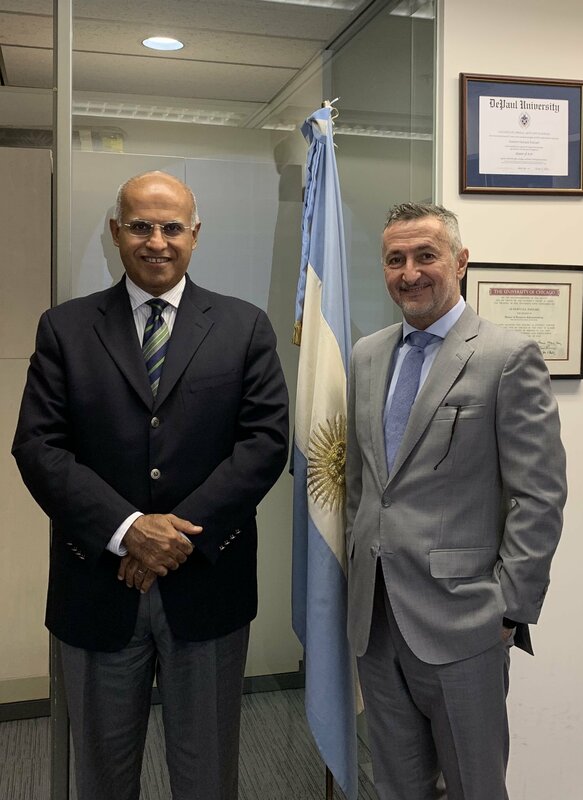 His Excellency Salah Hamdan Al Saif paid a courtesy visit to His Excellency Consul General of Argentina in Hong Kong. 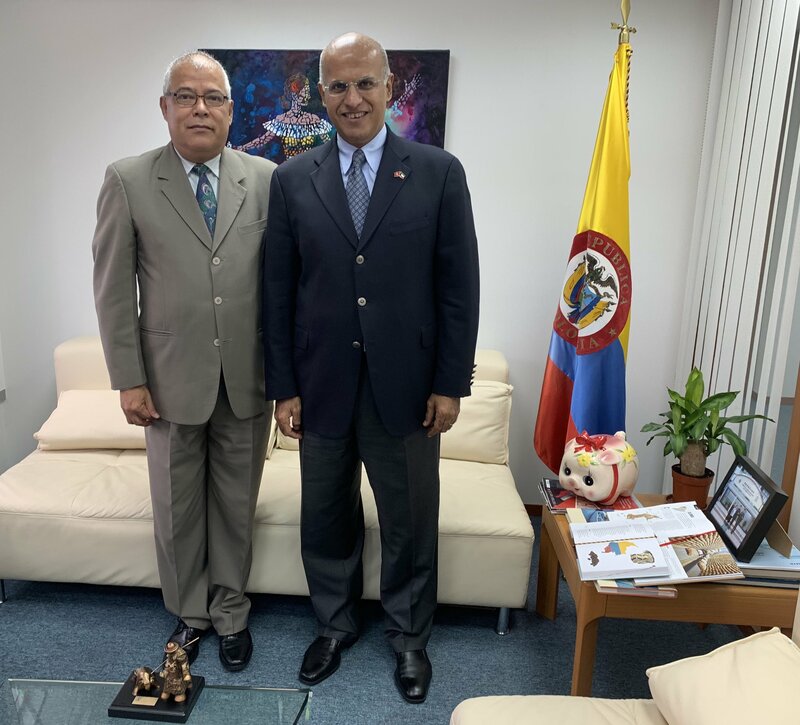 The Consul General received Mr. Joseph W.Y. Chong, the area Vice-President and Managing Director of the Peninsula Hong Kong Hotel, along with his team. 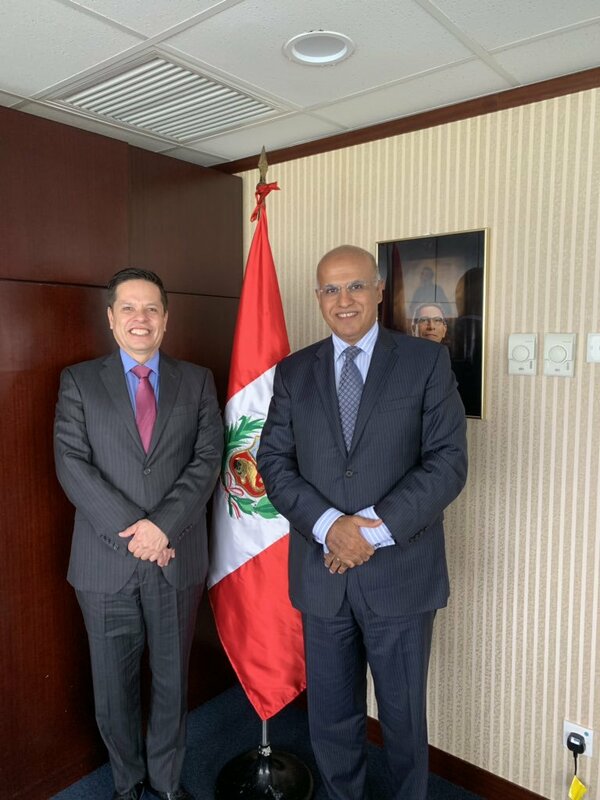 His Excellency Salah Hamdan Al Saif paid a courtesy visit to His Excellency Consul General of Peru in Hong Kong. 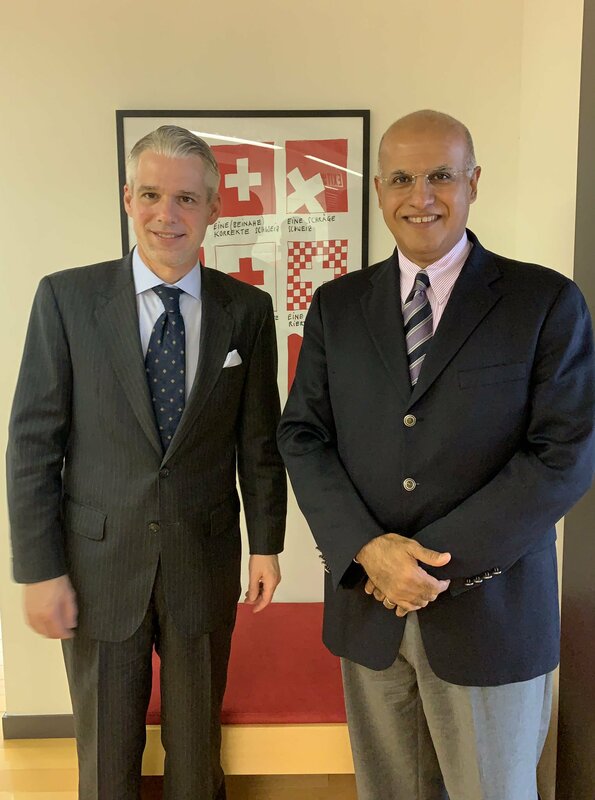 His Excellency Salah Hamdan Al Saif paid a courtesy visit to His Excellency Consul General of Switzerland. 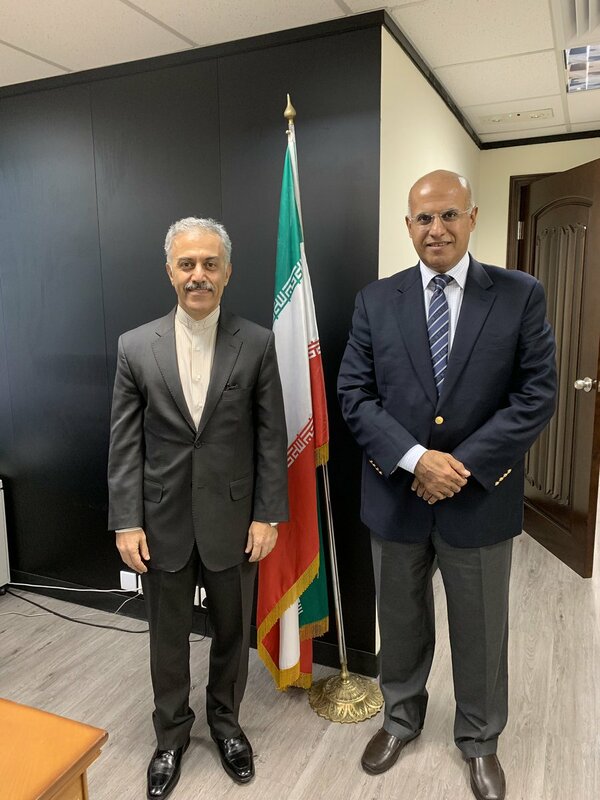 His Excellency the Consul General paid a courtesy visit to His Excellency Consul General of Malaysia and His Excellency Consul General of Iran. 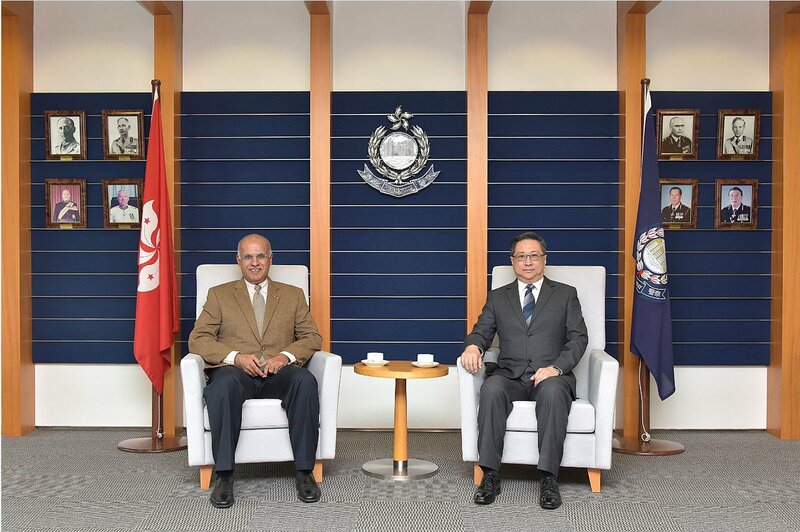 His Excellency Salah Hamdan Al Saif received in the office the Chief Inspector of Hong Kong Police along with a Senior Inspector who paid a courtesy visit to His Excellency and exchanged commutative gifts. 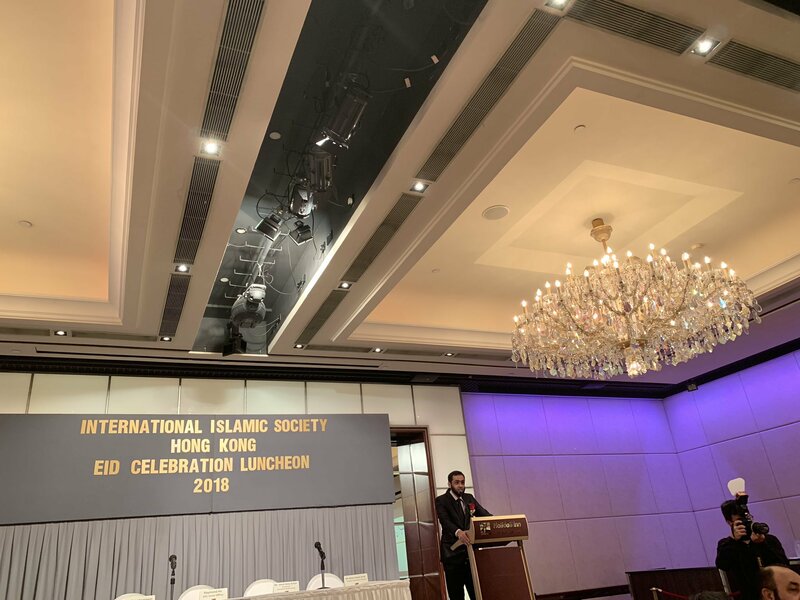 His Excellency Salah Hamdan Al Saif attended a luncheon hosted by the International Islamic Society of Hong Kong. 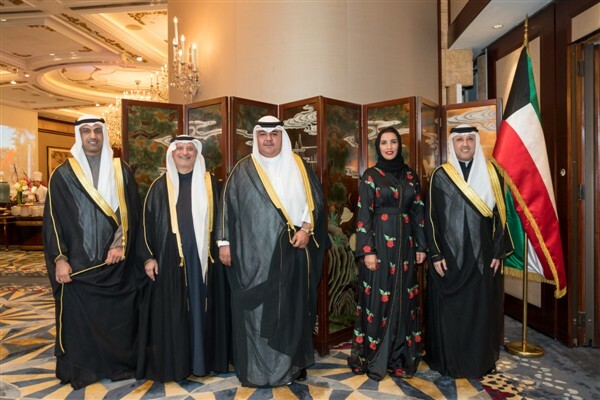 His Excellency Salah Hamdan Al Saif attended a luncheon hosted by Her Excellency Nabila Alshamsi, the Consul General of the United Arab Emirates in HongKong & Macau in the honor of commencing office in Hong Kong. H.E. 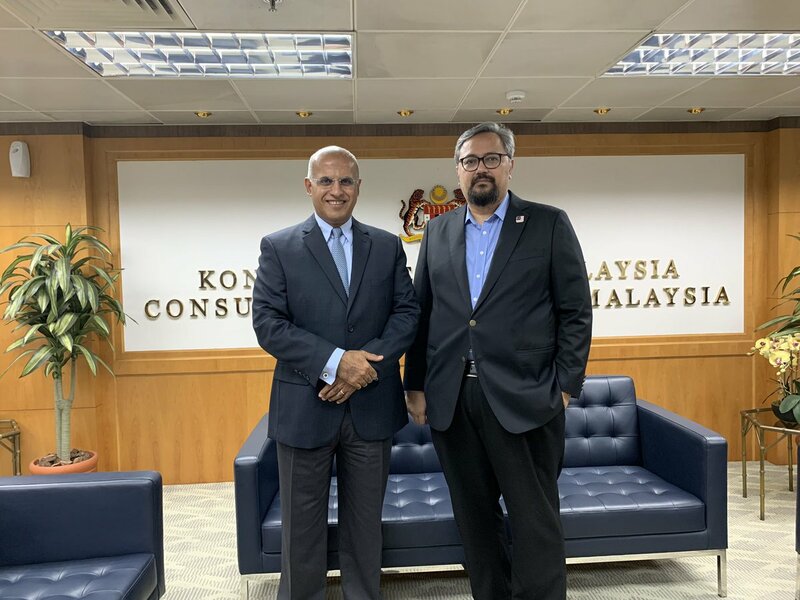 Consul General of Malaysia and the Honorary Consul General of Yemen attended the luncheon. His Excellency Salah Hamdan Al Saif paid a courtesy call visit to H.E. 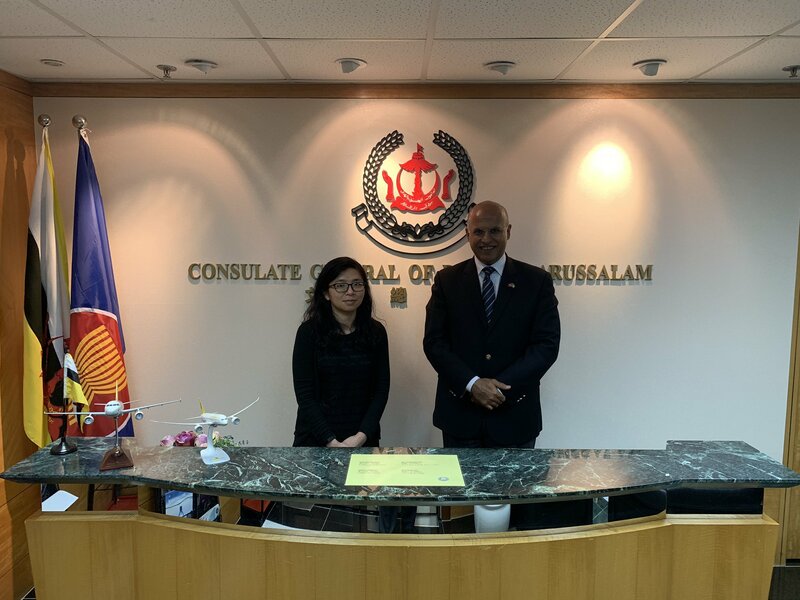 The Consul General of Indonesia in Hong Kong. His Excellency Salah Hamdan Al Saif received in the office His Excellence Omar Bakheet Al-Bunyan Consul General of Saudi Arabia. 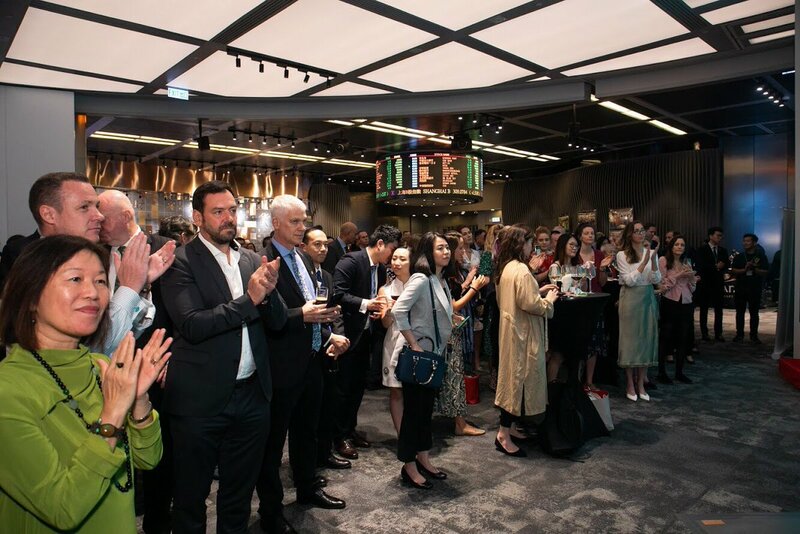 The Consulate General of the State of Kuwait in Hong Kong and Macao held a celebration on the occasion of the 57th anniversary of the independence of Kuwait and the 27th anniversary of the Liberation Day. A considerable number of government officials attended and the guest of honor was Mr. Matthew Cheung; the head of government departments. 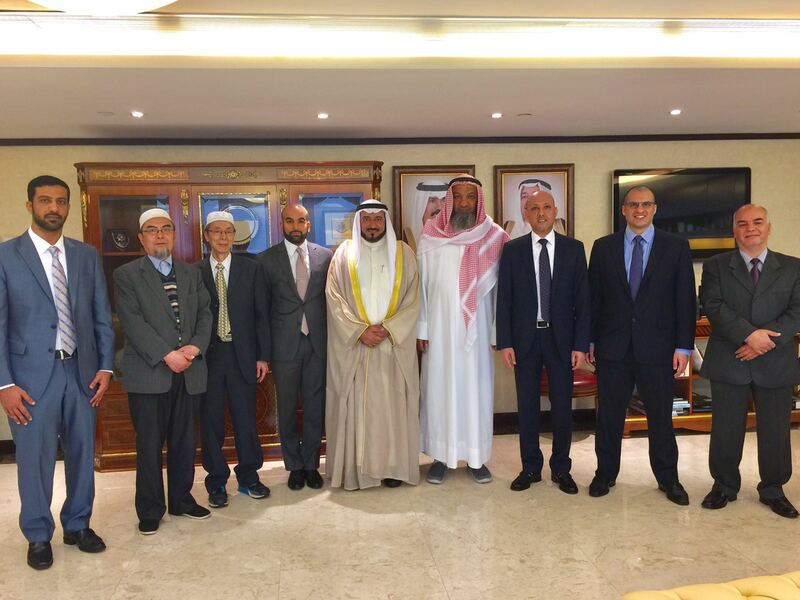 Heads of chambers of commerce and heads of Islamic organizations and members of the Arab and Islamic community in Hong Kong have attended too. 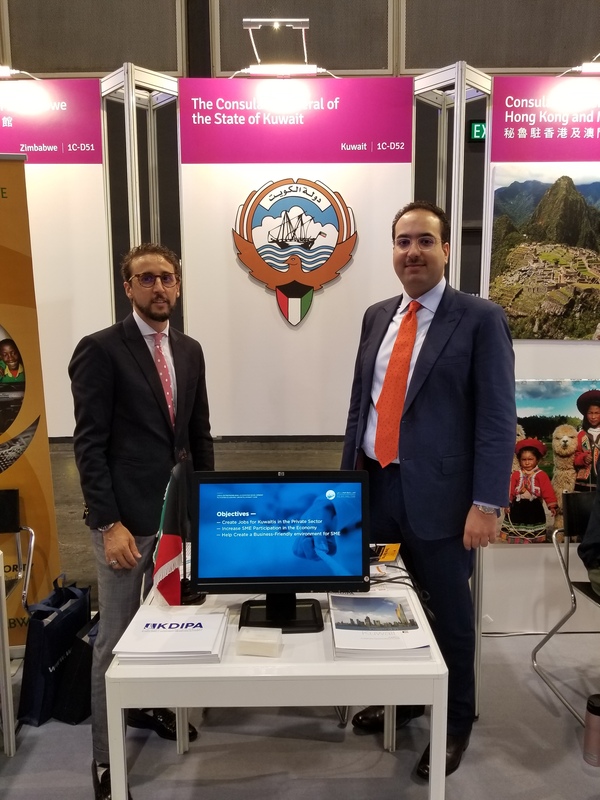 The Consulate General of the State of Kuwait in Hong Kong and Macao participated in the "SmartBiz Expo", which was held at the Hong Kong Convention Centre from 6-8 December 2017. The Consulate General participated in the exhibition as an attempt to showcase the available investment opportunities and promote the State of Kuwait as a financial and commercial centre in the Gulf region. 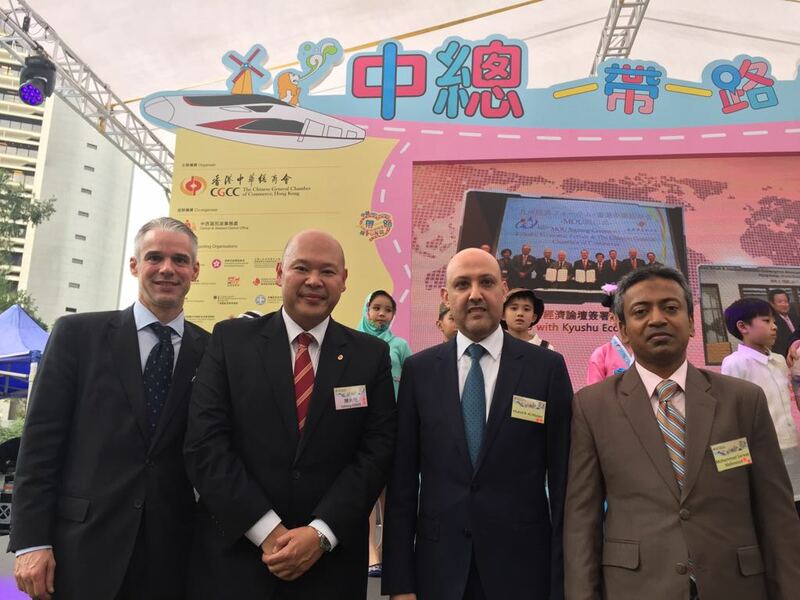 H.E Khalid Bader Al-Mutairi, Consul General of the state of Kuwait to Hong Kong and Macao, participated in the opening ceremony of the "Belt and Road Fest" organized by the Hong Kong General Chamber of Commerce in cooperation with a number of government agencies and in the presence of a number of Consuls General from Asia Pacific and the Middle East. This participation aims at establishing and encouraging cooperation between Hong Kong and countries covered by the Belt and Road Initiative. 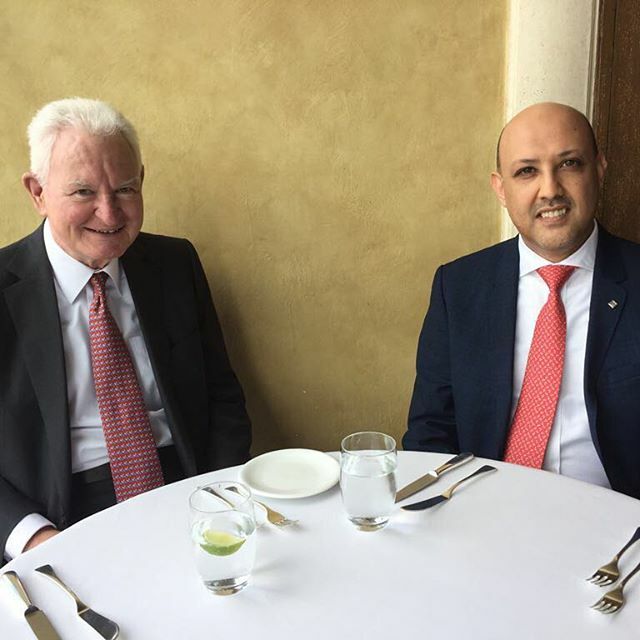 H.E Khalid Bader Al-Mutairi, Consul General of the State of Kuwait to Hong Kong and Macao, invited Dr. Helmut Sohmen for a business lunch. 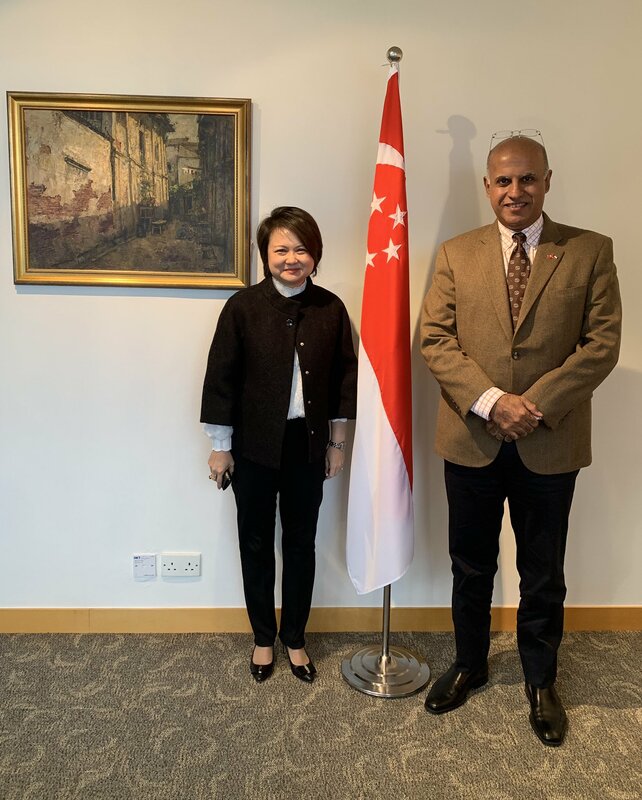 Mr. Sohmen is one of the most influential businessmen in Hong Kong, Chairman of an international shipping company, “BW Group” and formerly managing director of Dragon Air, a Hong Kong Airlines. 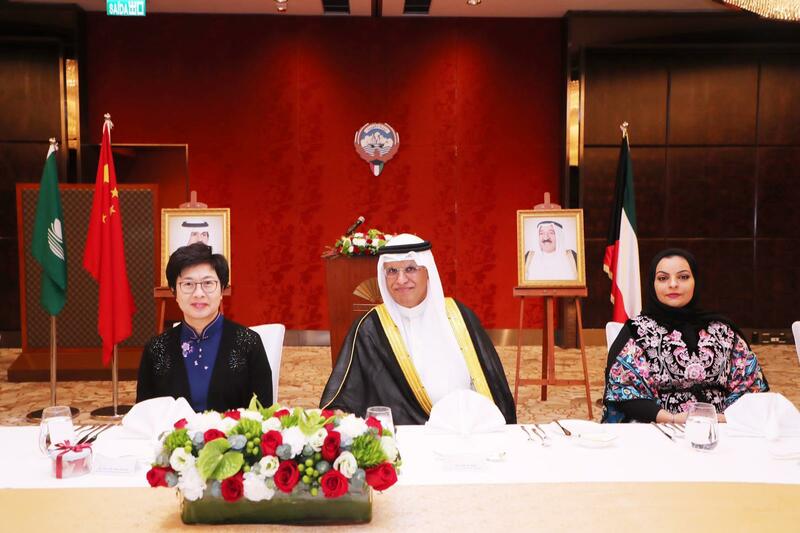 The invitation is an effort of H.E Khalid Bader Al-Mutairi to establish solid relationships with Hong Kong businessmen and explore opportunities in developing trade cooperation between Hong Kong and Kuwait. 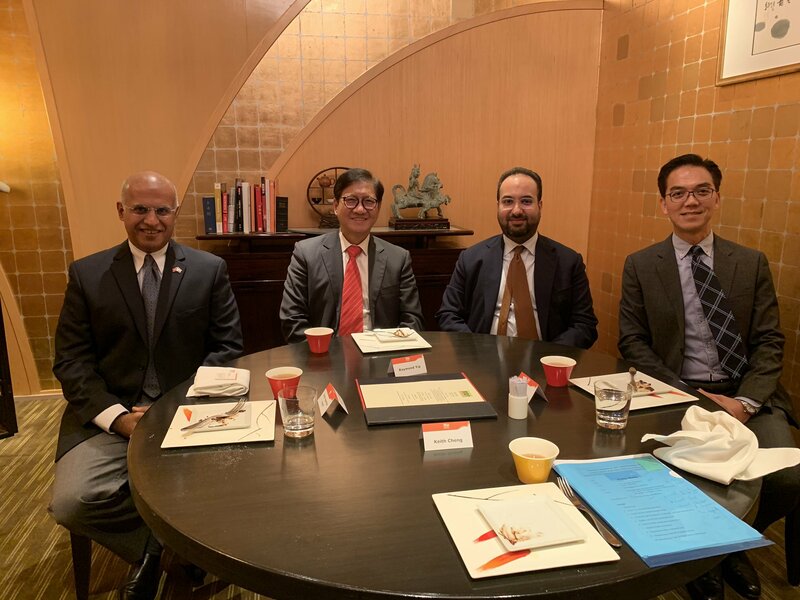 H.E Khalid Bader Al-Mutairi, Consul General of the State of Kuwait to Hong Kong and Macao, hosted a dinner on the occasion of the monthly Asian Consular Group in Hong Kong. 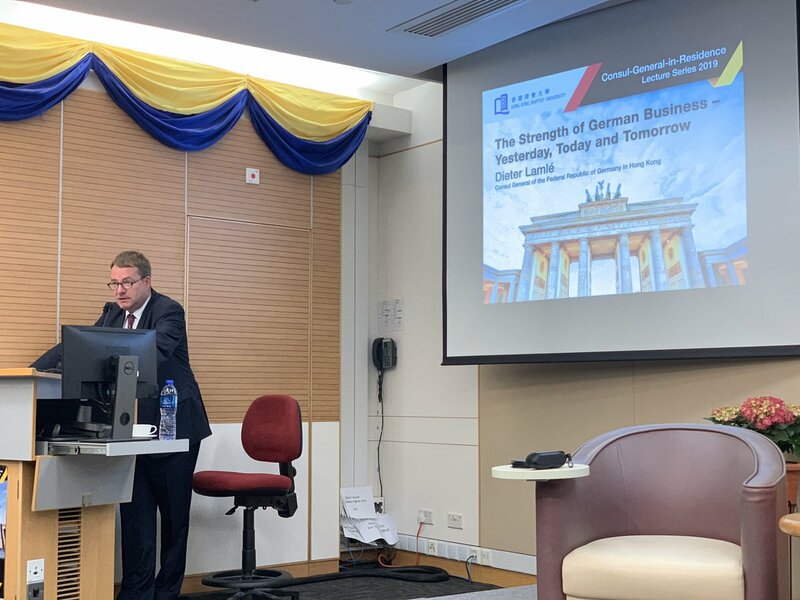 The event was highlighted with a comprehensive presentation given by the guest of honour Mr. Stephen Philips -Director-General of Investment Promotion in Hong Kong; who ultimately briefed the audience with the business environment in Hong Kong. The Consulate-General of the State of Kuwait in Hong Kong and Macao participated for the second year in a row in the Ethnic cultural performances in Hong Kong which was organized by the Leisure and Cultural Services Department in Hong Kong, where the Consulate General introduced visitors to the Kuwaiti culture by offering some traditional Kuwaiti sweets and a photo workshop with Kuwaiti traditional dress. 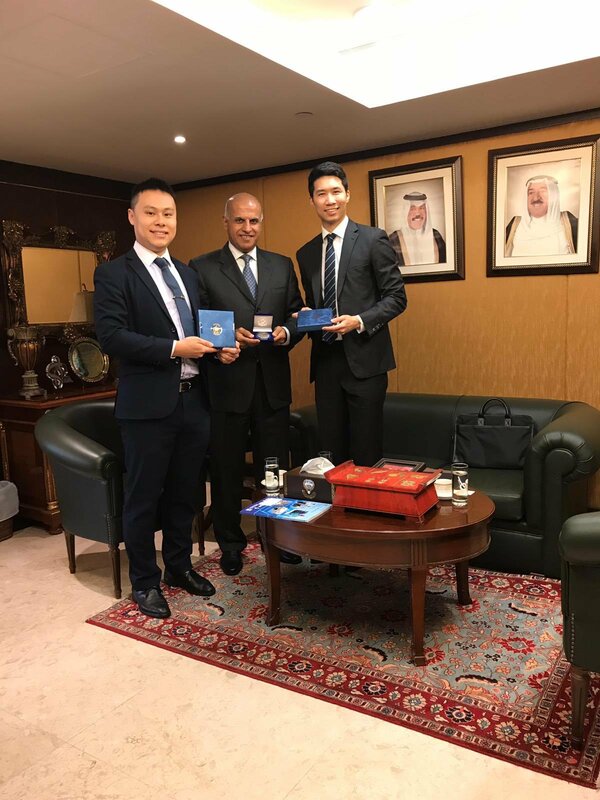 With the attendance of H.E Khalid Bader Al-Mutairi, Consul General of the State of Kuwait, H.E Dr. Mishal Jaber Al-Ahmad Al-Sabah held a meeting with the Deputy Executive Director of the Hong Kong Trade Development Council, Mr. Raymond Yip, who stressed on the importance of Hong Kong to the Chinese economy as it is China's main trade gateway, where the total Chinese investments in the world counts at about 150 billion US $ of which 60 % Of this amount outflows via Hong Kong. 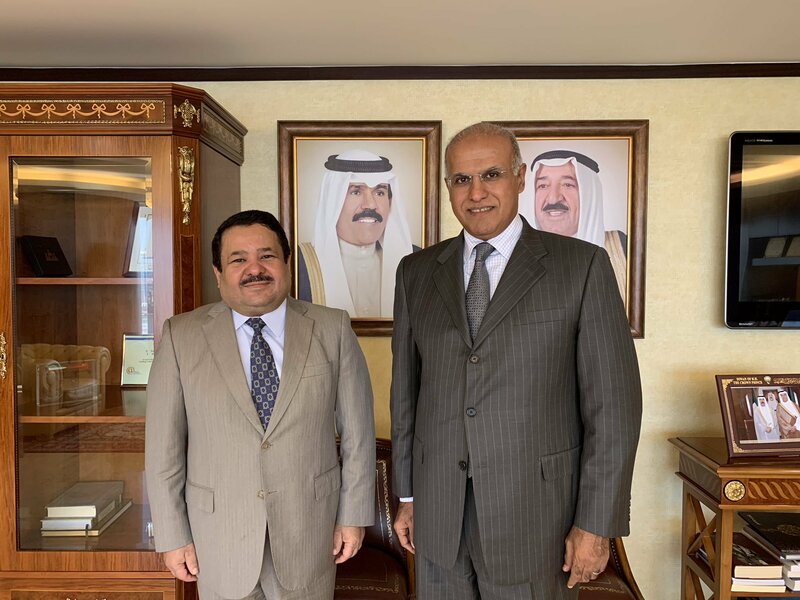 H.E Dr. Mishal Jaber Al-Ahmad Al-Sabah stressed on the need to communicate and hold bilateral meetings between the two sides to learn about the latest developments in the commercial and investment environment in Kuwait. 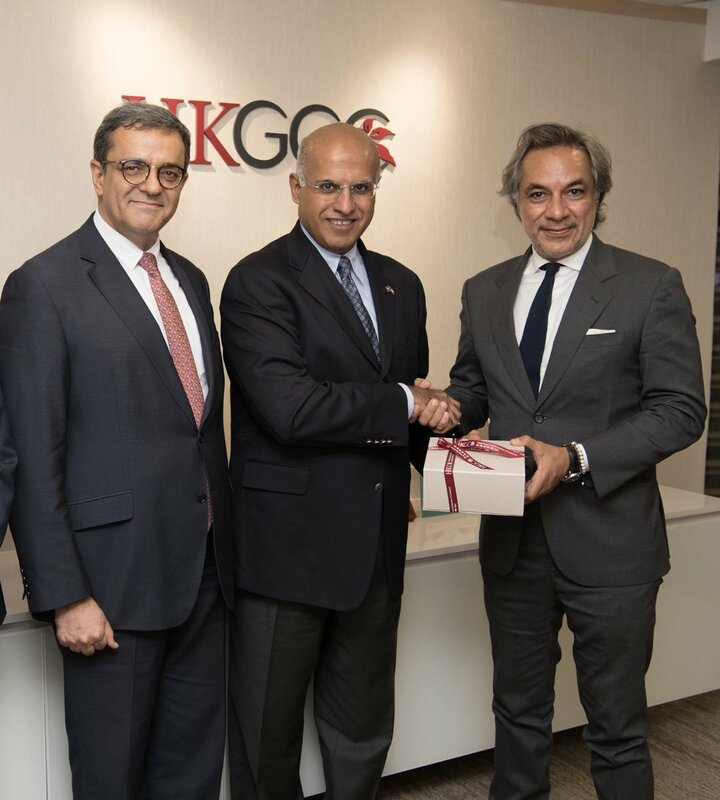 He also praised the visit, stressing that Hong Kong seeks to know more about emerging and promising markets and Kuwait is one of the most important markets. 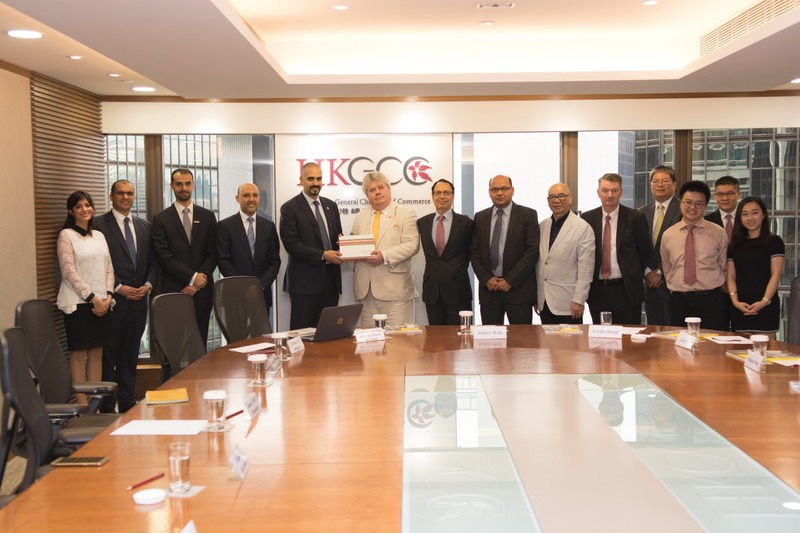 Mr. Raymond Yep explained that Hong Kong is an attractive investment and trade environment and on this occasion invites Kuwaiti companies to benefit from the large Chinese market, which is the second largest economy in the world. 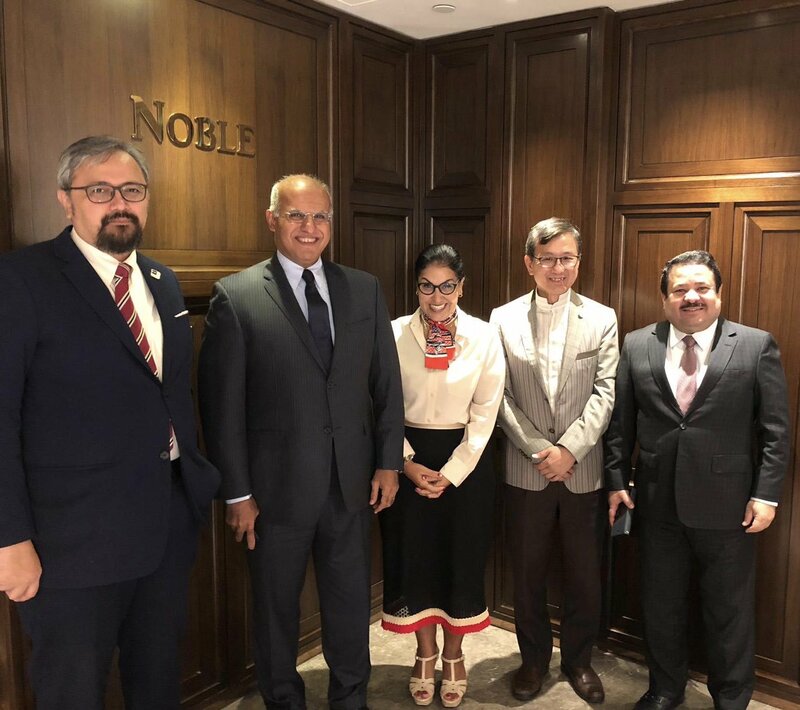 He also invited H.E Dr. Mishal Jaber Al-Ahmad Al-Sabah to attend a forum and exhibition in Hong Kong next September on the Belt and Road Initiative, where a large number of companies and officials from different countries are scheduled to meet. 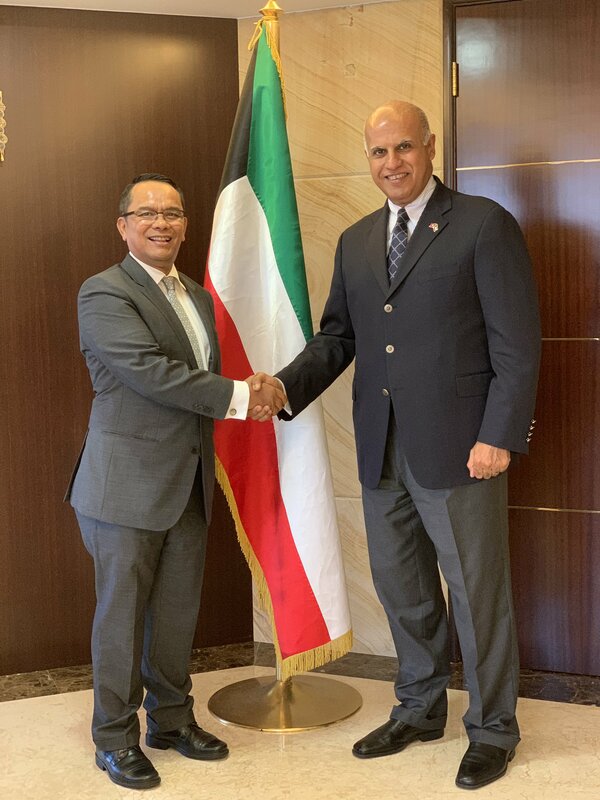 At the end of the meeting, His Excellency Dr. Mishal Jaber Al-Ahmad Al-Sabah addressed an official invitation to Mr. Raymond Yip to visit the State of Kuwait for a closer look at the commercial and investment environment in Kuwait. 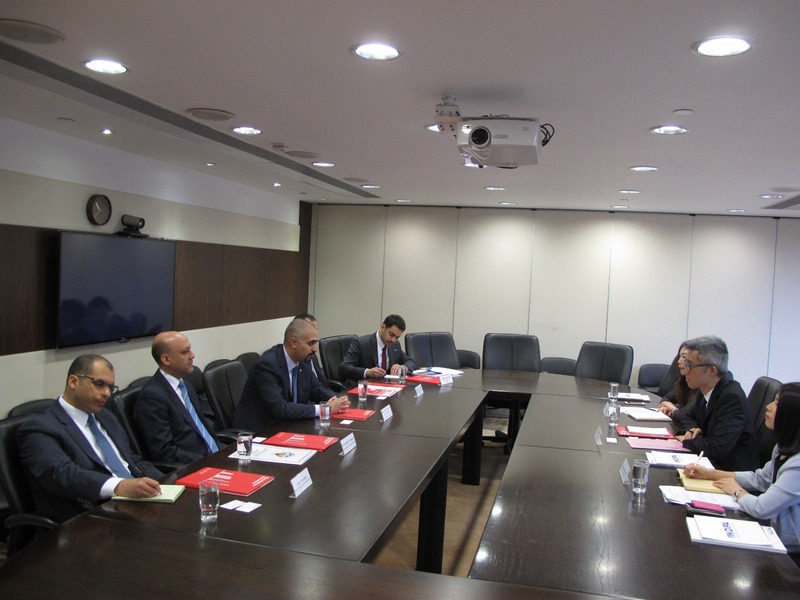 During his official visit to Hong Kong along with the accompanying delegation, H.E Dr. Mishal Jaber Al-Ahmad Al-Sabah, Director General of Kuwait Direct Investment Promotion Authority and H.E Khalid Bader Al-Mutairi, Consul General of Kuwait Hong Kong and Macao, held a meeting with Investhk to discuss and share their experiences as Hong Kong has a long-standing experience as a global financial center in attracting direct investment. 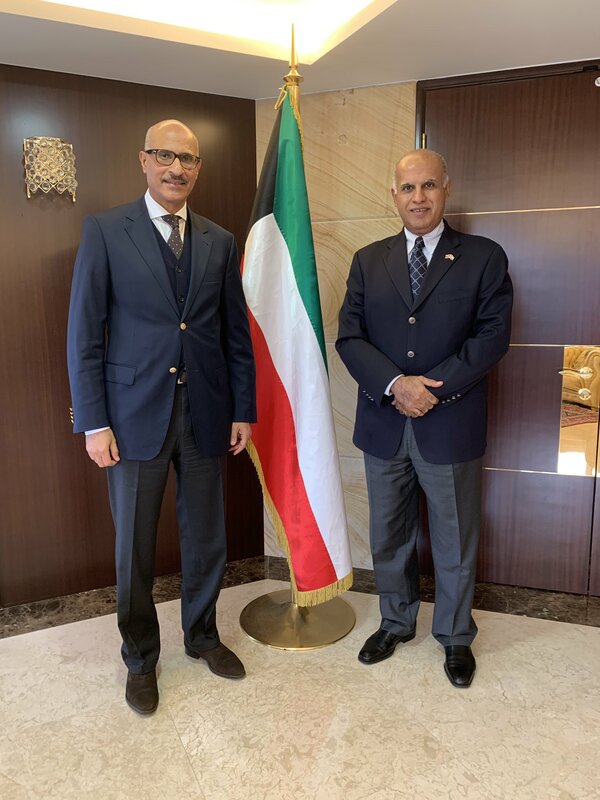 H.E Dr. Mishal Jaber Al-Ahmad Al-Sabah called on InvestHK officials to visit the State of Kuwait at the time they deem appropriate to carry on efforts related to the common in interests. InvestHk was represented by Mr. Francis Hu, Assistant Director General for Investment Promotion, Ms. Alison Tsui, Head of China and International Operations, Ms. Vanessa Chung, Director of of China and International Operations. The Consulate General of the State of Kuwait in Hong Kong and Macao and the Direct Investment Promotion Authority, headed by H.E Khalid Al Mutairi, Consul General of the State of Kuwait in Hong Kong, and H.E Dr. Mishal Jaber Al-Ahmad Al-Sabah, General Director of the Kuwait Direct Investment Promotion Authority, a meeting with the Hong Kong General Chamber of Commerce represented by the Asia and Africa Committee in the presence of the Chairman of the Committee, Mr. Andrew Wells, the Vice-Chairman of the Committee, Mr. Ashwani Gul, and a number of Committee members. H.E Dr. Mishal Jaber Al-Ahmad Al-Sabah made a presentation on investment in Kuwait since the issuance of the new law of direct investment showcasing how Kuwait attracted about 2.3 billion US dollars of investments and the contribution of a number of Chinese companies in a period not exceeding two years. 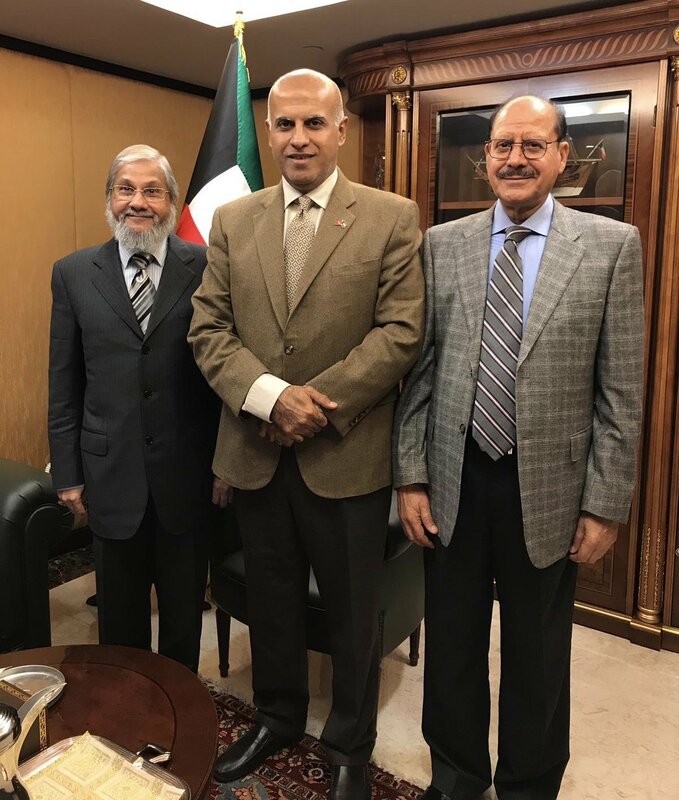 His Excellency the Director-General encouraged the members of the Committee to visit the State of Kuwait to learn more about investment opportunities in Kuwait and to take advantage of the emerging neighbouring countries such as Iraq and Iran. 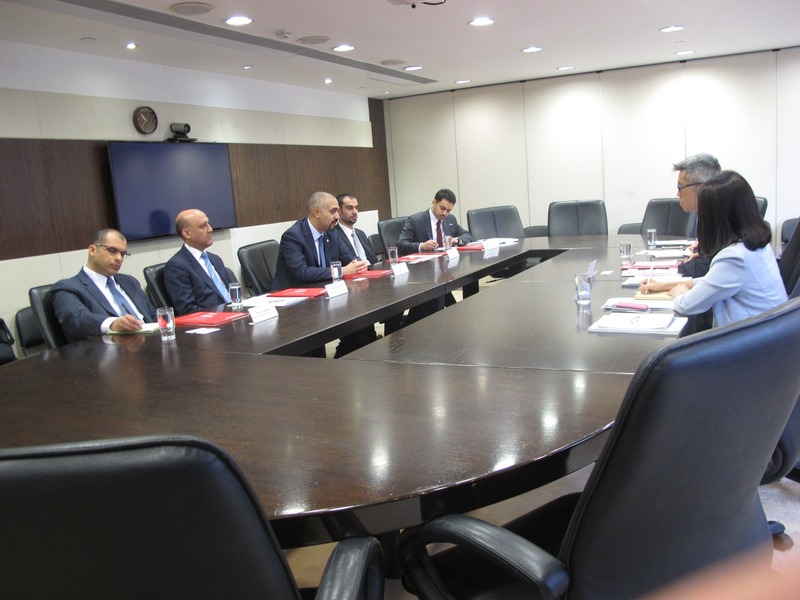 He also briefed the committee on the latest activities of the Authority and the success models of some companies that have taken licenses and approvals for settling their business in the State of Kuwait and discussed the opportunities of participation of small and medium enterprises between the two parties because they represent 95% of the Hong Kong economy and stressed on the importance of focusing in technology And other sectors that may benefit Kuwait in its current development plan. 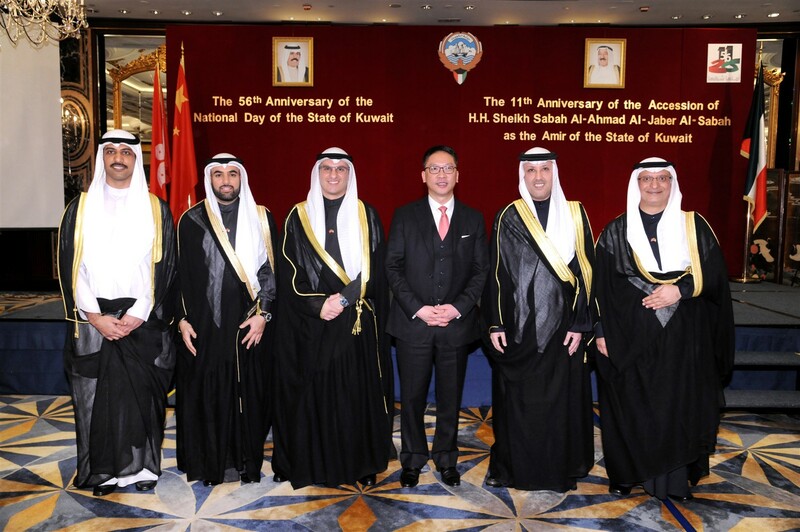 The members of the Committee also welcomed the invitation to visit the State of Kuwait and expressed their gratitude on what they learnt about the modern Kuwait and expressed their desire to seek cooperation with Kuwait because it has distinctive incentives in the region and will contribute to expand their activities in the Middle East because it is a new market for Hong Kong. 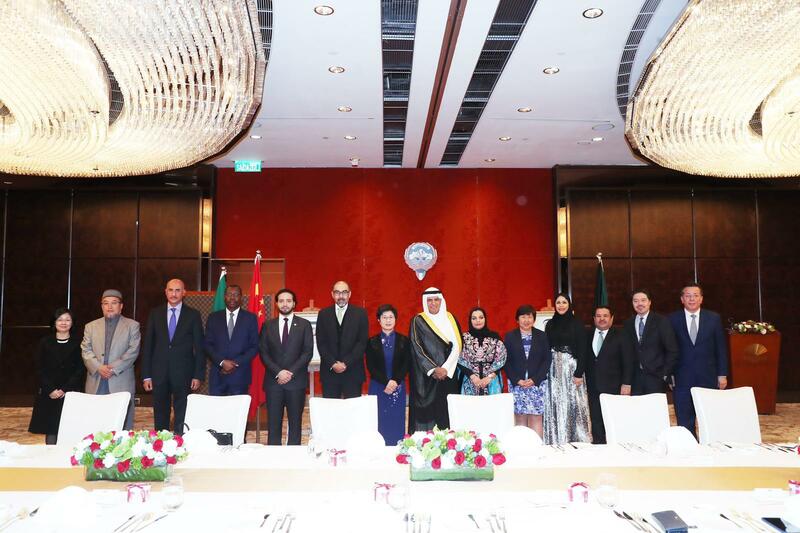 His Excellency Khalid Bader Al-Mutairi recently attended the Macau International Cooperation and Environment Forum in Macau. His Excellency Khalid Bader Al-Mutairi attended recently the Macau International Cooperation and Environment Forum in Macau. 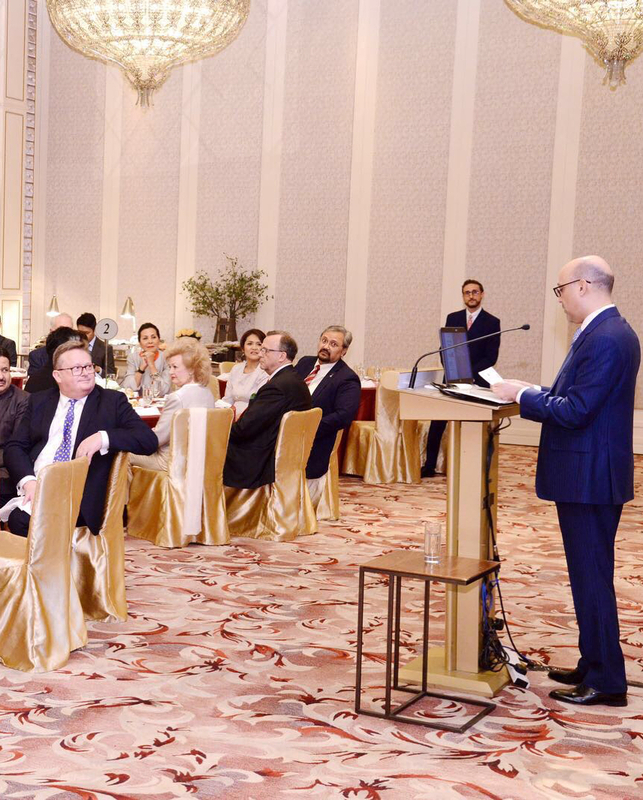 The Forum was inaugurated by Mr. Fernando Choi, President of the Macao Special Administrative Region. 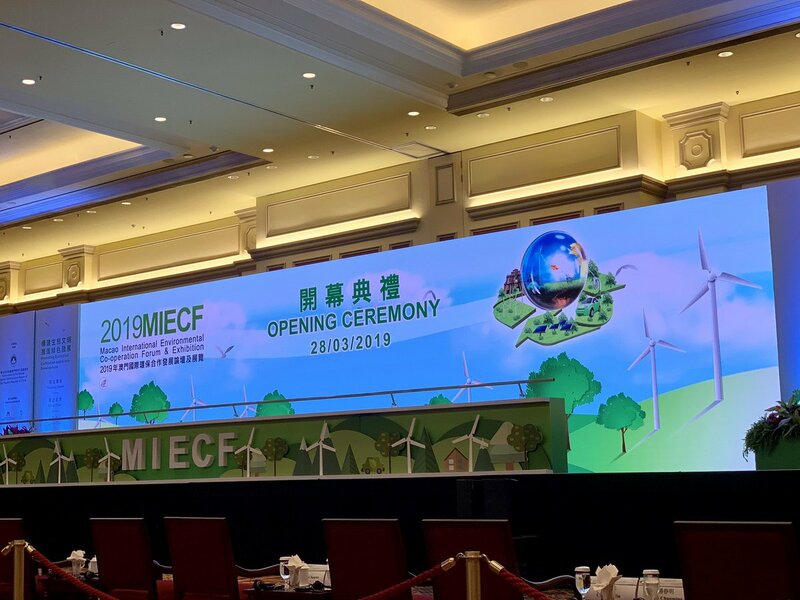 Mr. Choi in his speech emphasized on Macau's desire to cooperate with neighboring countries in the field of environmental cooperation, noting that the Forum has contributed to the development of this cooperation since its inception in 2008. 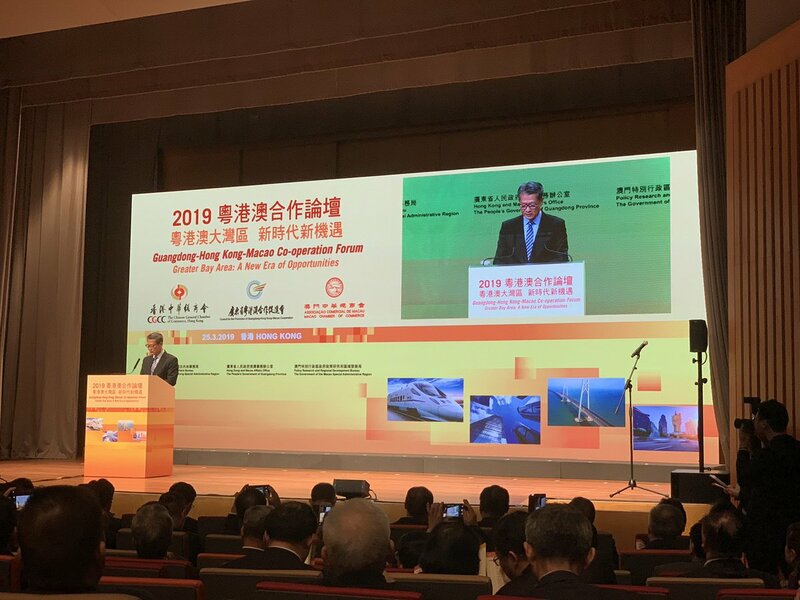 The Forum was attended by the former Deputy Secretary- Executive Director of the United Nations Environment Program (UNEP), the Portuguese Minister of the Environment and a number of senior Chinese and international officials in this field. His Excellency Khalid Badr Al-Mutairi, Consul General of the State of Kuwait, held a dinner banquet in the honor of a delegation from the Ministry of Awqaf and Islamic Affairs headed by Dr. Khalid Al-Sharaf and Mr. Khalid Al-Saeed, imams and preachers from the Ministry of Awqaf and Islamic Affairs on the occasion of their visit to Hong Kong and Macao give lectures on peaceful coexistence in non-Muslim societies. 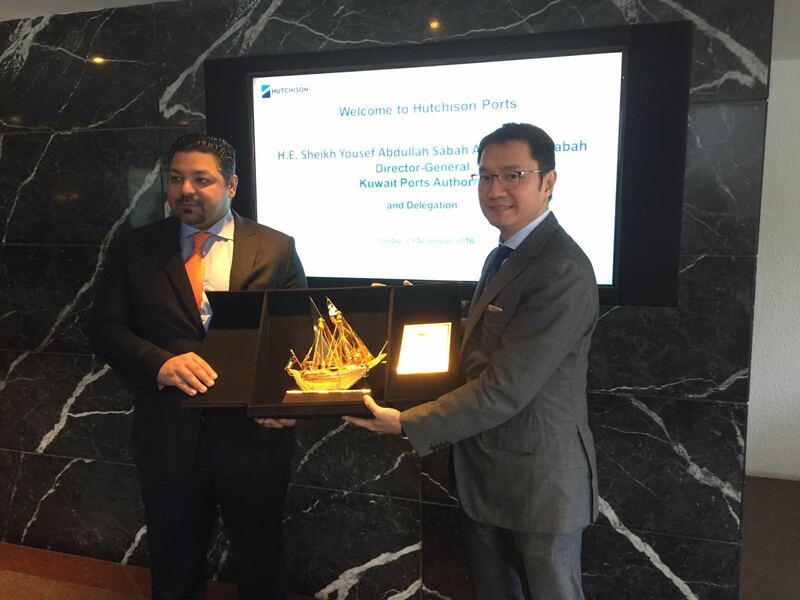 His Excellency Khalid Bader Al-Mutairi along with Sheikh Yusuf Al-Abdullah Al-Sabah attended the the 6th Asian Logistics and Maritime Conference organized by the Government of the Hong Kong Special Administrative Region. 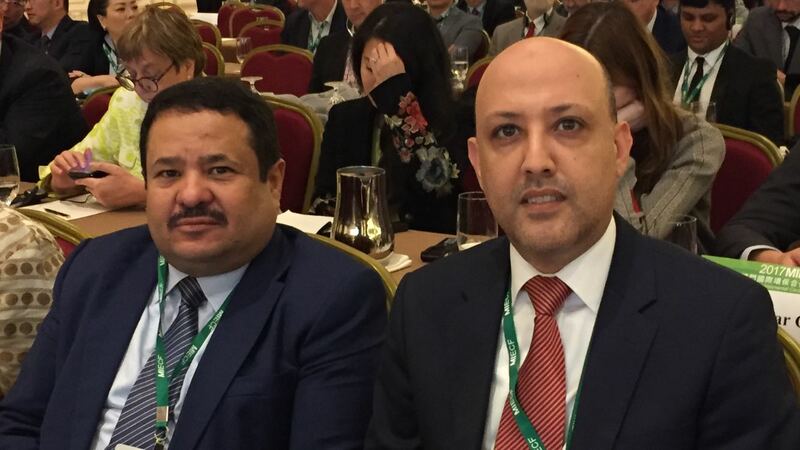 His Excellency Khalid Bader Al-Mutairi, and the Executive Director of the Kuwait Ports Corporation Sheikh Yousif Al-Abdullah Al-Sabah participated in the 6th Asian Logistics and Maritime Conference organized by the Hong Kong Special Administrative Region Government and Hong Kong Trade Development Council. The delegation held a field visit to one of the largest ports in Hong Kong to learn about the latest technologies used in port works. His Excellency Khalid Bader Al Mutairi, Consul General of the State of Kuwait in Hong Kong and Macao along with members of the Consulate General in Hong Kong met with the Islamic Union of Hong Kong to discuss several issues concerning the Muslim community, where the two sides discussed ways of cooperation to enhance coordination between them to better serve the interests of Muslims in Hong Kong. 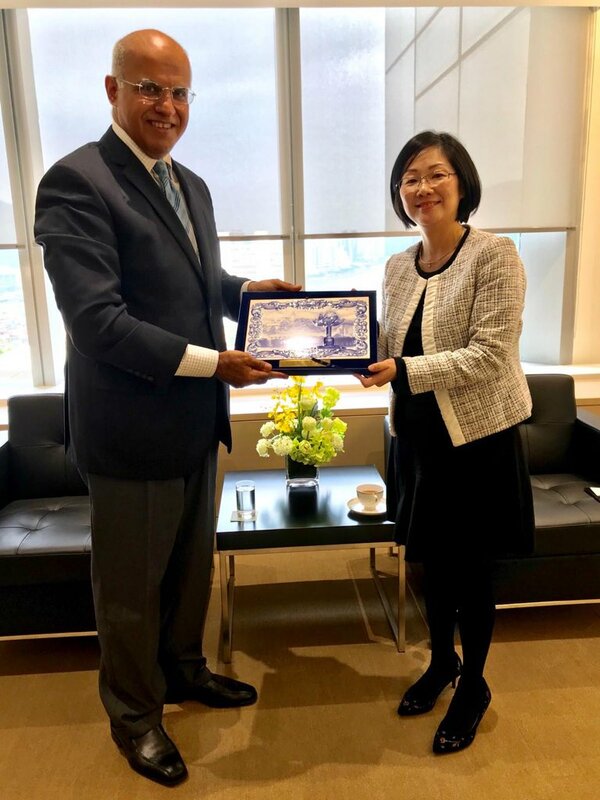 His Excellency Khalid Bader Al-Mutairi met with the Commissioner of the Belt and Road Office Mrs. Yvonne Choi with the aim of enhancing economic and investment cooperation with Kuwait. 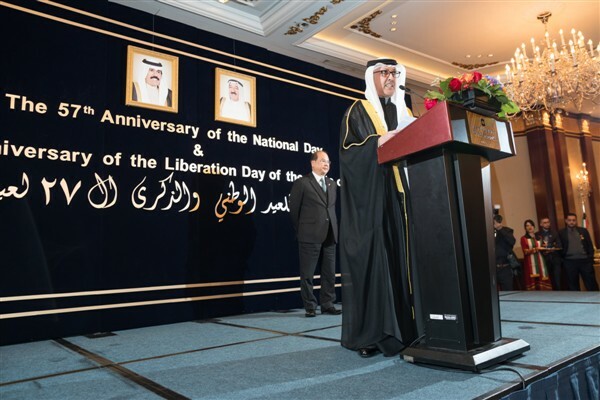 The celebration was attended by Hong Kong chief executive The Hon C Y LEUNG, heads of diplomatic missions, businessmen, chiefs of Islamic organizations and a huge number of Arab and Muslim communities’ members. 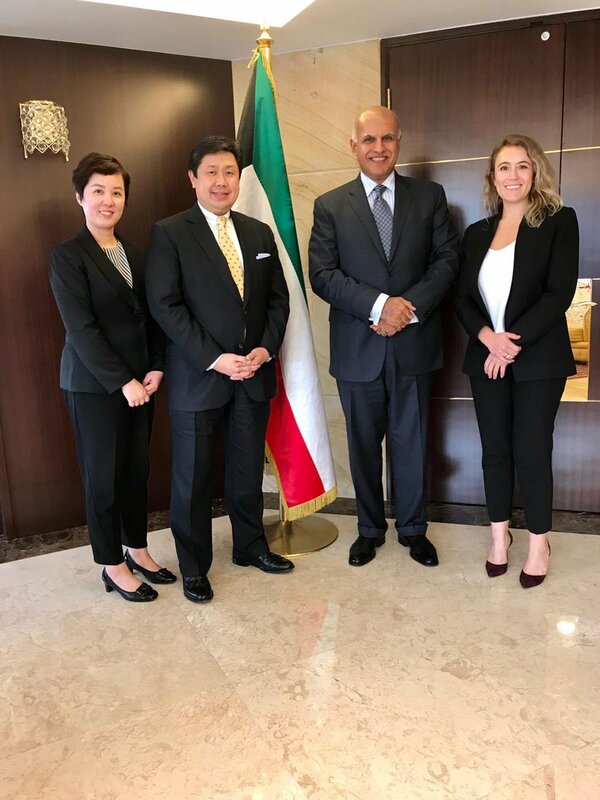 Kuwaiti Consul General Khalid Al-Mutairi said in a press statement that ties between Kuwait and Hong Kong have seen notable development in the past few years, wishing for more cooperation between the two countries in all fields, especially in trade, tourism and investment. 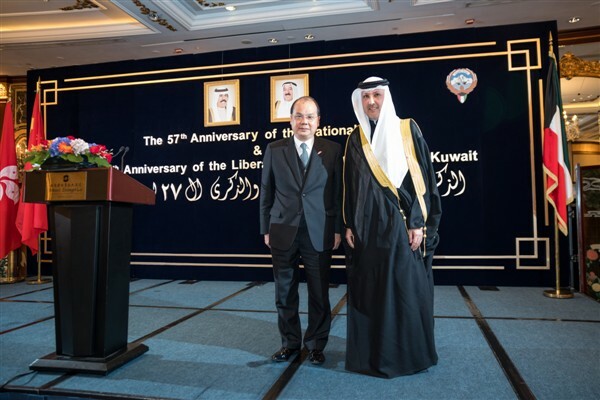 Hong Kong executive chief, on his part, lauded the development in relations with Kuwait that led to the signing of many agreements in dual taxation exemption, promoting and protecting investments and other economic and technical agreements. 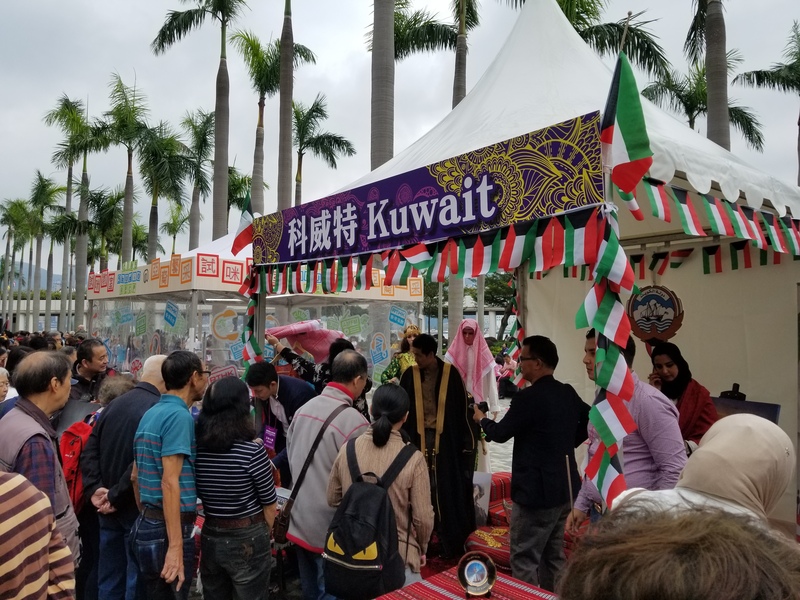 Kuwait has provided USD 150,000 to establish an Islamic studies center in the Chinese University of Hong Kong, according to Kuwait's Consul General in Hong Kong and Macau Khalid Al-Mutairi. 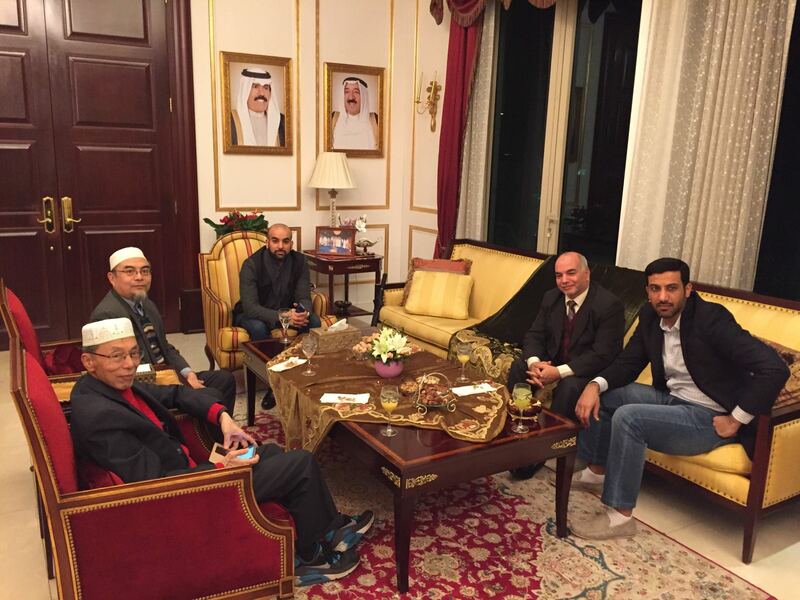 The funds were handed to Chairman of the Islamic Cultural Centre in Hong Kong, Al-Mutairi told Kuwait News Agency (KUNA) on Sunday. 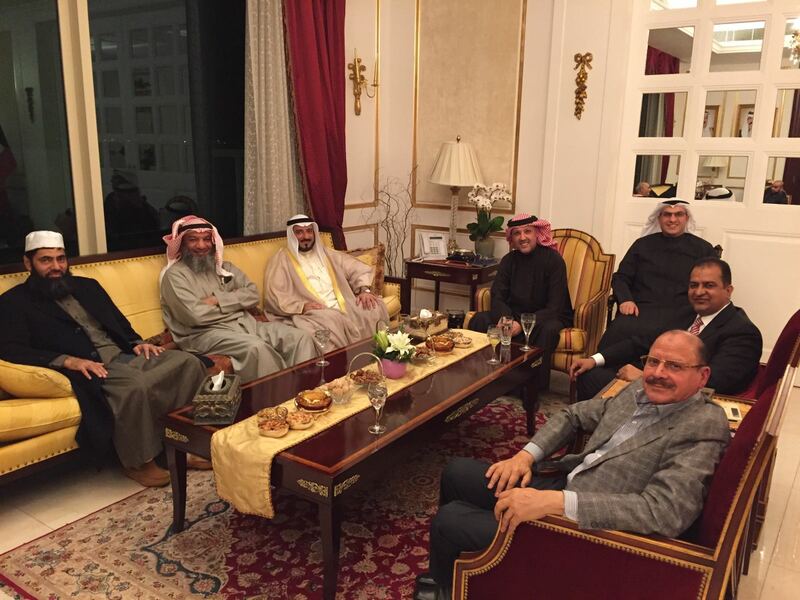 The Consul General also said that Kuwait continuously supports Muslims all over the world. Moreover, he wished all those involved in the center the best of luck to spread the teachings of Islam in Hong Kong, calling on them to put all their efforts into this mission. The activities of the Cultural Center includes printing books and cooperating with universities to spread knowledge about Islam. 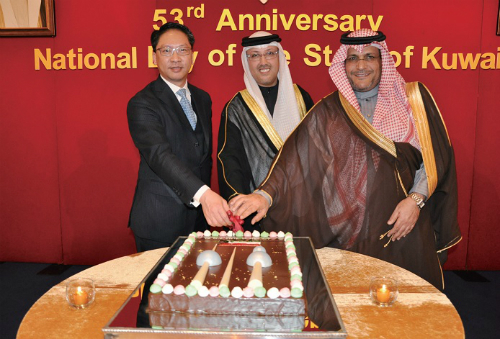 Consulate General of the State of Kuwait in Hong Kong hosted a celebration to mark the national days and was attended by Secretary for Justice Rimsky Yuen Kwok-keung, Secretary for Education Eddie NG Hak-kim, President of Legislative Council Jasper Tsang Yok-sing, businessmen, economists, heads of major commercial companies, heads of Islamic organizations, heads of diplomatic missions, and a large number of Arab and Islamic nationals. Consul General Khalid Al-Mutairi lauded Kuwait-Hong Kong expressed that he have witnessed a notable development during the last few years on levels of governmental institutions and private sectors, affirming availability of several opportunities to attain cooperation in many areas such as trade, tourism, and investment; particularly since officials from both sides realize the economic privileges for Kuwait and Hong Kong. On the 8th November 2013, Commissioner Song Zhe met with H.E. 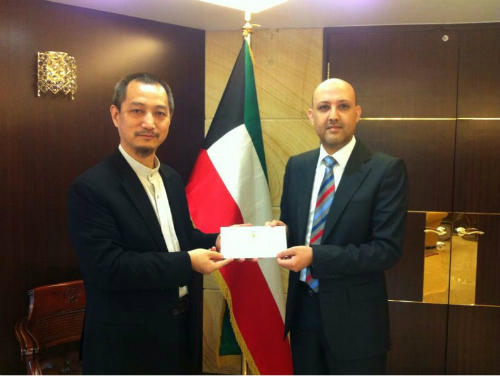 Khalid Bader Al Mutairi, new Consul General of Kuwait to Hong Kong, and presented him with the Consular Certificate. 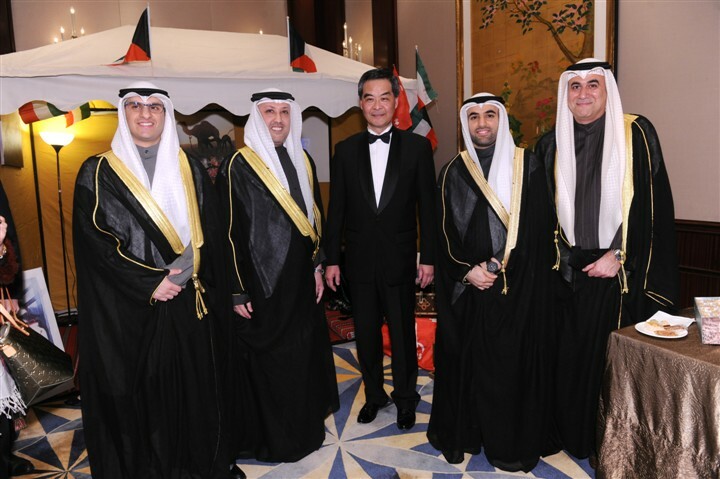 The two sides exchanged views on China-Kuwait relations, trade, economic and cultural exchanges and cooperation between Hong Kong and Kuwait and other issues of shared interest.